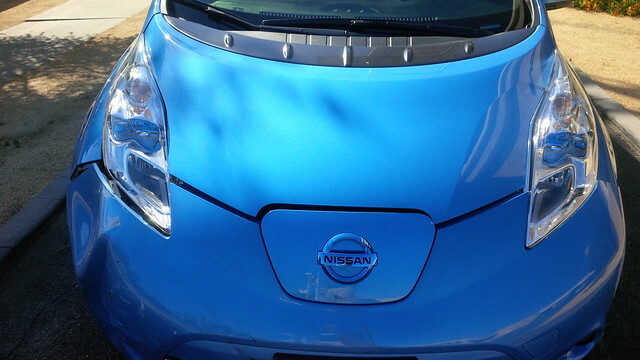 EV Thanks on Thanksgiving 2013… 50,000 all electric miles! 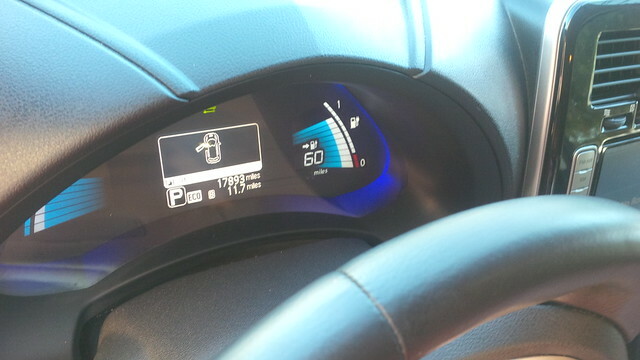 After over 21 months of EV driving and meticulous postings of my electric mileage, it’s finally happened. 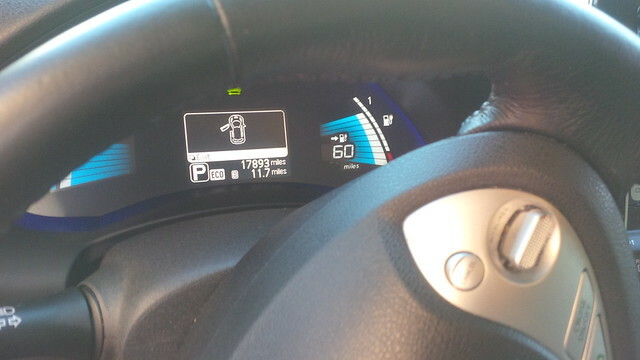 Sometime in the past few weeks I’ve passed 50,000 all electric miles of driving! I would have been more precise, however. 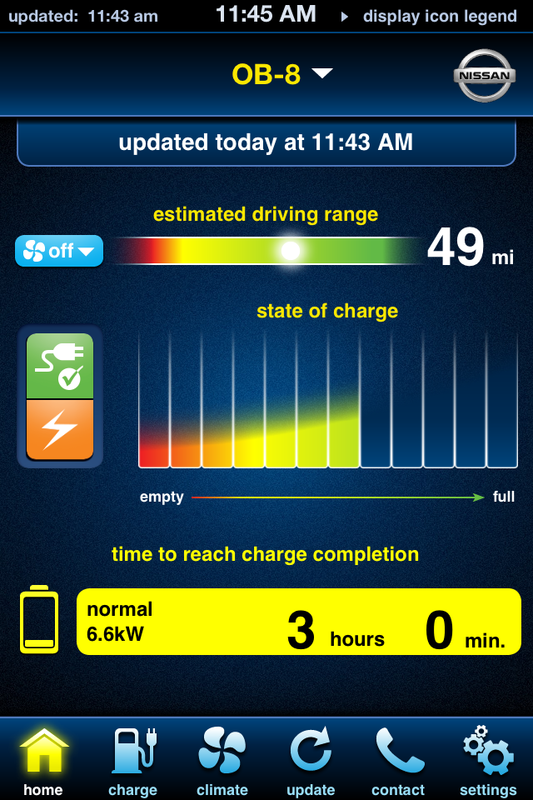 Sharing EVs with my wife, I can’t tell which are her driving miles versus my driving miles. I do know that I drive 95-98% of the time, so I can claim most of the miles. So… What does that mean… Well, I’ve calculated a cost of approximately $0.008 per mile since I’ve moved to Solar power on my roof. Well, let’s assume that with the addition of the Tesla Roadster and Model S to the fleet, my costs have gone up to $0.012 per mile. I’m using this figure because both the Roadster and Model S exhibits more Vampire Drain (defined as the energy consumed by the EV while idle) than the Active E has in its approximately 48,000 miles of service. 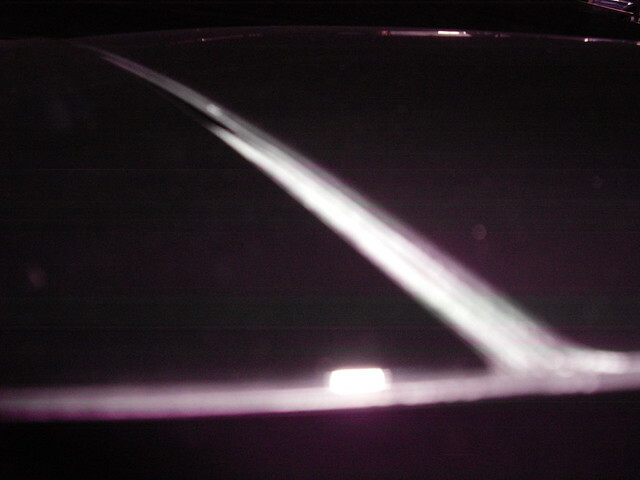 So, using this figure, let’s say that we’ve spent approximately $600 during these 50,000 miles. Well, I’ve used paid EV Charging Networks as well. Not too often, but enough to approximate an additonal $50, let’s double this figure to be really conservative. So, we’re talking $700 for the 50,000 miles. Now, if we had driven all those miles in our least expensive ICE (Internal Combustion Engine (gasoline engine)) car was at $0.15 per mile. These same miles would have been $7,500 in energy costs. So, I guess after 50,000 miles, I have at least $6,800 to be thankful for. 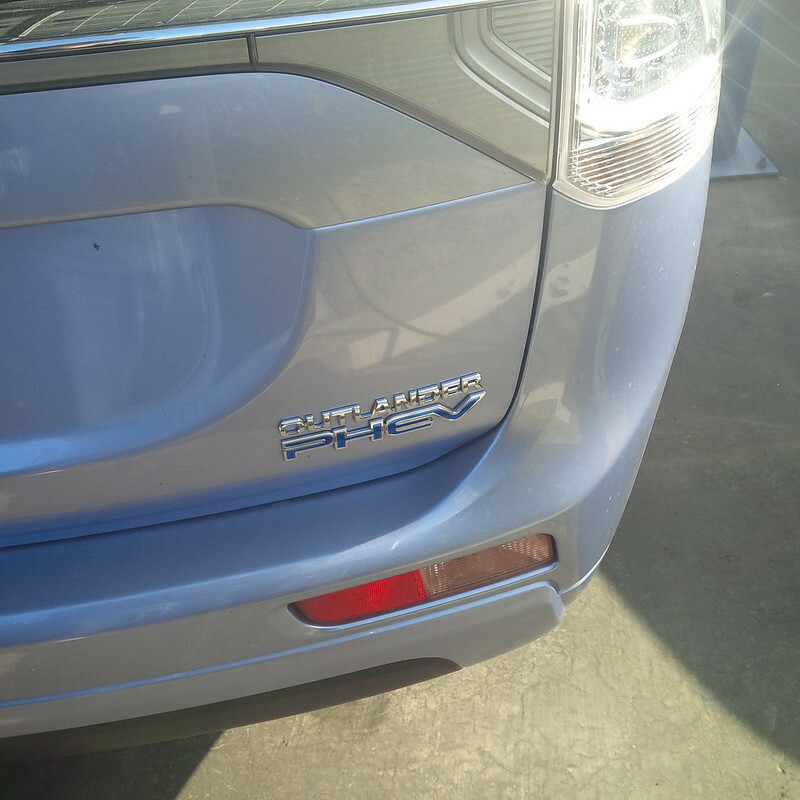 What else do I have to be EV Thankful for… Frankly, living in Southern California has given me the ability to choose amongst the widest selection of Electric and Plug-in Hybrid vehicles on the market. 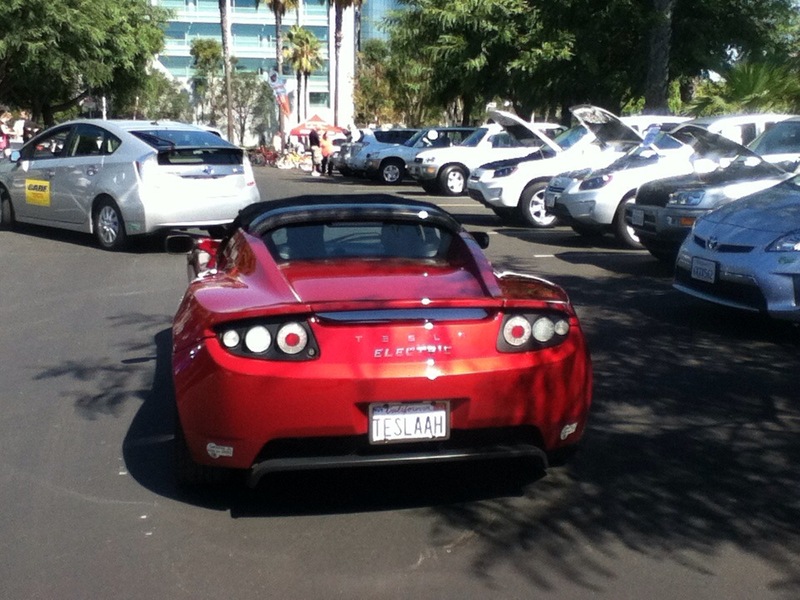 I’ve been lucky enough to have been able to drive this gallery of electric vehicles. 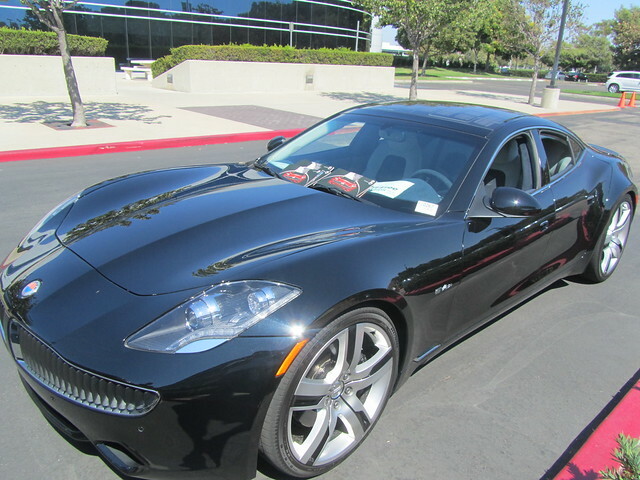 Ranging from failures like the Coda (which I reviewed early on the blog’s existence) and Fisker Karma. 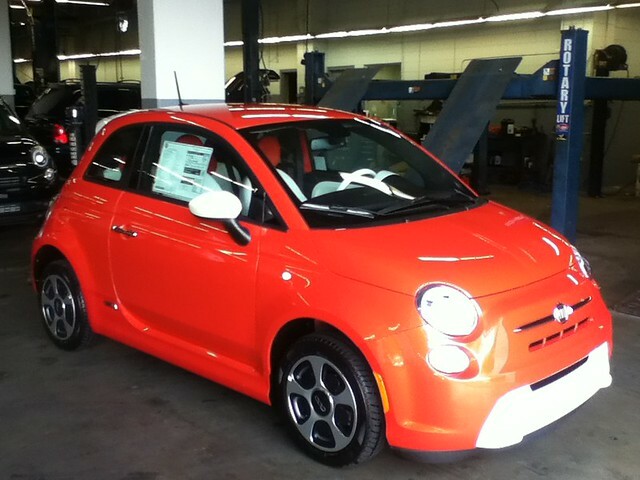 To California Compliance limited production run EVs such as the Honda Fit EV and Fiat 500e. 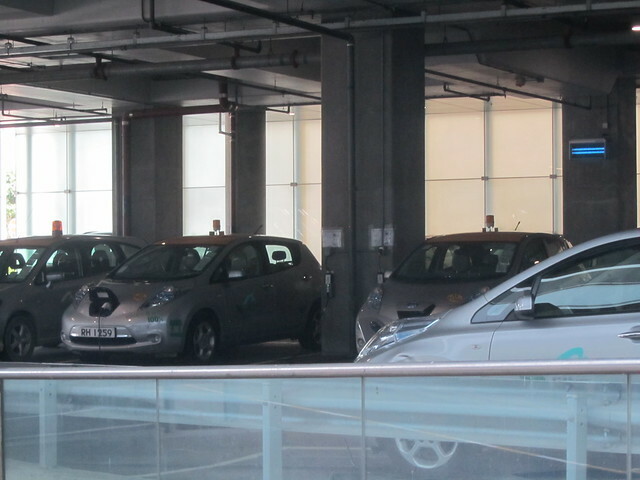 Is the Spark EV a compliance car or production? To hand converted beauties like the ZElectricbug. 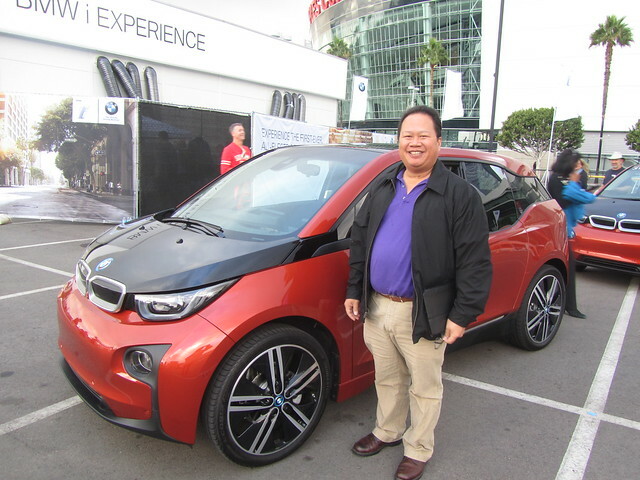 To full production EVs, like the Mitsubishi iMiEV, Ford Focus EV, Nissan Leaf, Smart 3rd Gen ED, and my latest temptation the BMW i3. Not pictured are the Chevy Volt, 2nd Gen Toyota RAV4 EV, and the Plug-in Prius. And of course, our EV fleet… The Tesla Roadster, Tesla Model S, and the one that got me hooked on EVs our BMW Active E.
Posted on November 28, 2013 March 28, 2014 Categories ActiveE, BMW i, Other Electric Cars, Tesla Model S, Tesla RoadsterTags ActiveE, BMW ActiveE, Comparing Gas vs Electric, Comparing other electric cars to ActiveE, Electric Car, i3, Nissan Leaf, Tesla, Tesla Model S, Tesla Motors, Tesla Roadster, Thanksgiving2 Comments on EV Thanks on Thanksgiving 2013… 50,000 all electric miles! After over twenty months of driving electric vehicles (EVs). 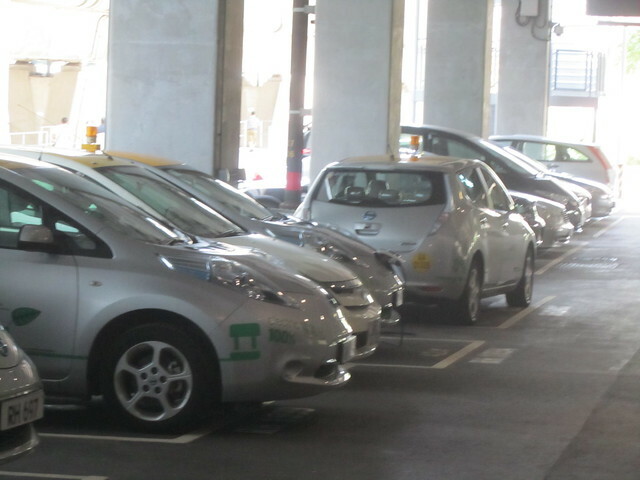 I was thinking of advantages that EVs have over internal combustion engine (ICE) cars. 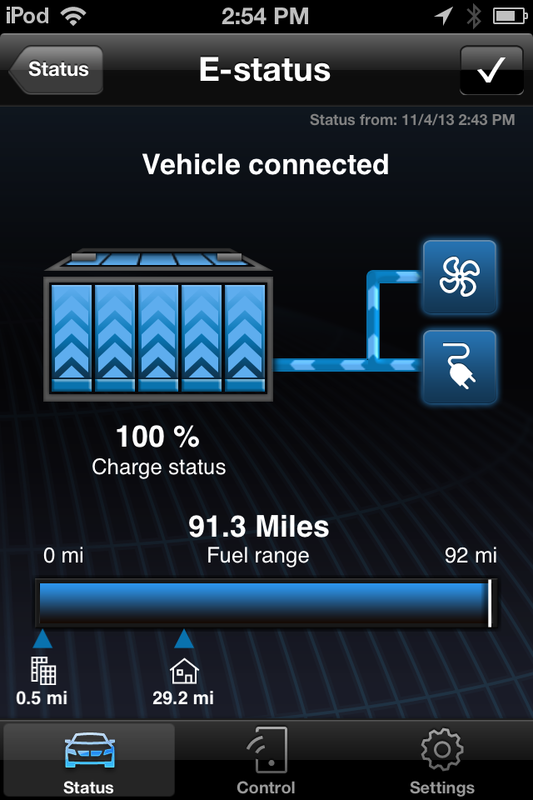 What are some baseline features of Telematics that I would like to see from EV manufacturers. 1) Support for Multiple Mobile devices as well as the Web. 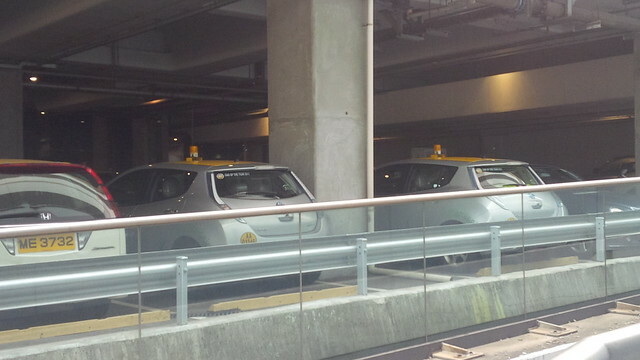 2) Near real-time status updates of the vehicle and its current state. 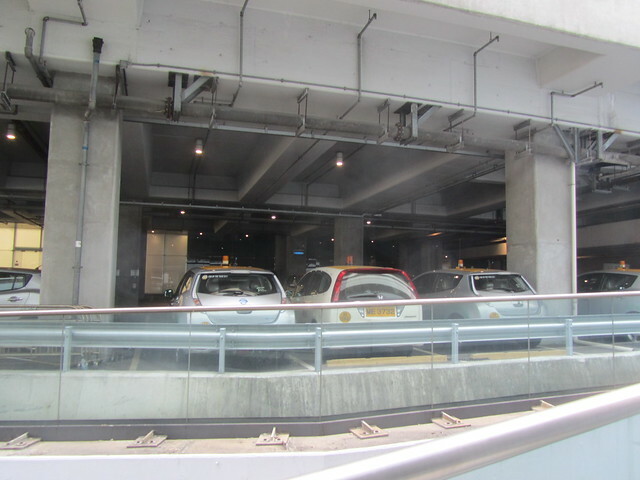 3) At least several years of access to the systems should be included with the price of the car. Granted, this post is occurring before we’ve picked up our Tesla Model S, so I’ll have to provide an update with that one later. 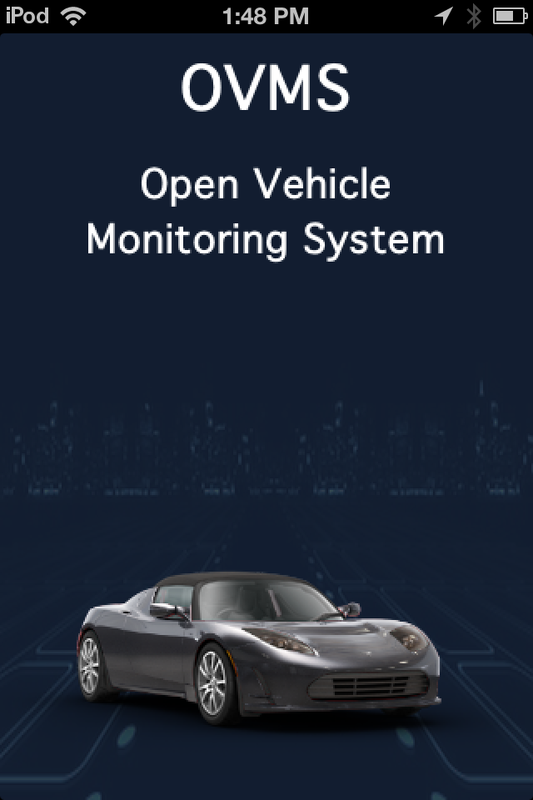 As many of you know, I recently installed the Open Vehicle Monitoring System on my wife’s Roadster. So, I can now compare BMW’s My Remote with the OVMS system on a Tesla Roadster 1.5. 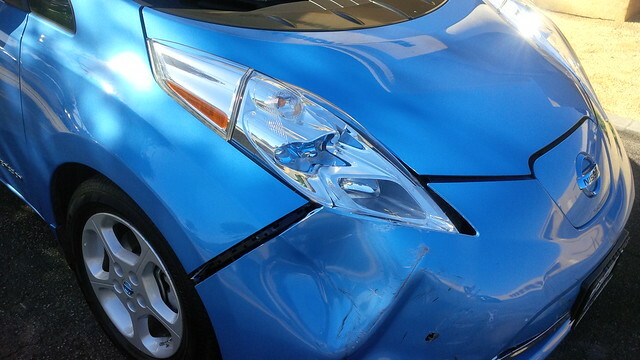 Additionally, I have been experienced with the Nissan Leaf Carwings system as a function of being “tech support” for my 60+ mother in her 2013 Ocean Blue Nissan Leaf SV (OB-8). First, I will be using the iOS version running on an iPod Touch and/or iPad, unless I specify otherwise. 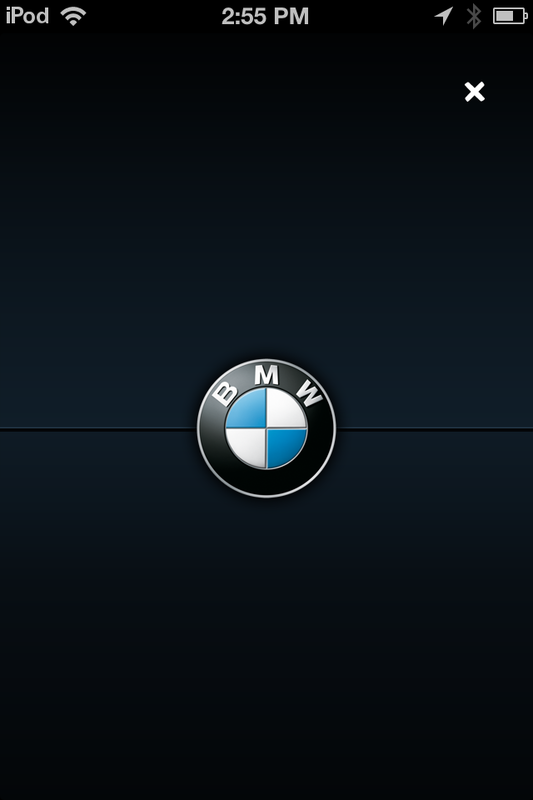 First, the My BMW Remote Application and Active E.
1) BMW has an application for iOS and Android. No access via the web or Blackberry. 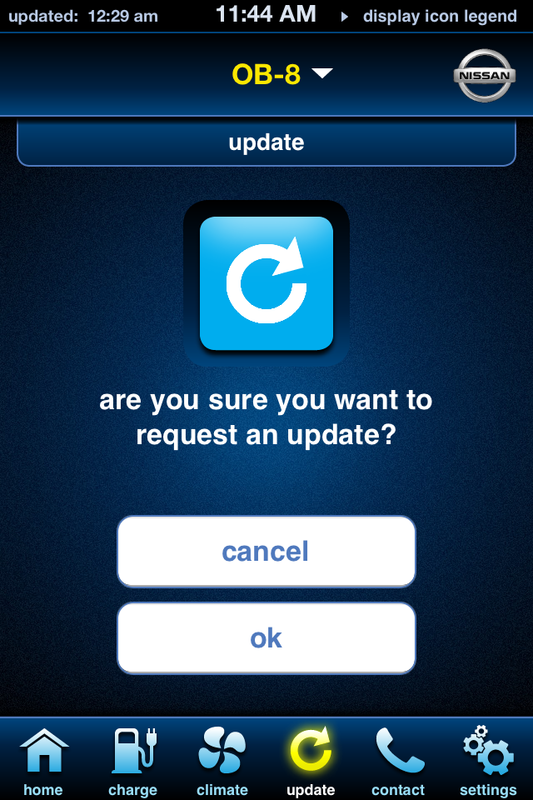 the My BMW Remote provides good feedback of this status on the iPod Touch version by giving the user the “Status from: Date and Time” on the upper right of the application. The iPad version only gives the “Status from: Date” on the same location. It makes the iPod Touch version an edge even between the same mobile OS. BMW does provide this, but it’s been somewhat unreliable. 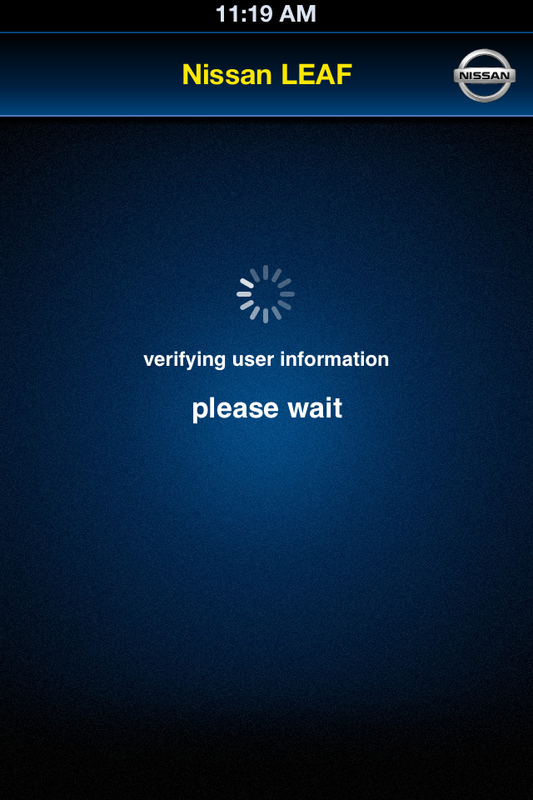 For example, most recently, I was unable to get any of this status on the iOS application from October 23, 2013 to October 29, 2013. It finally started working again. if the status is frozen, have to hit the refresh button to get a refresh. And it’s hit or miss whether that works. 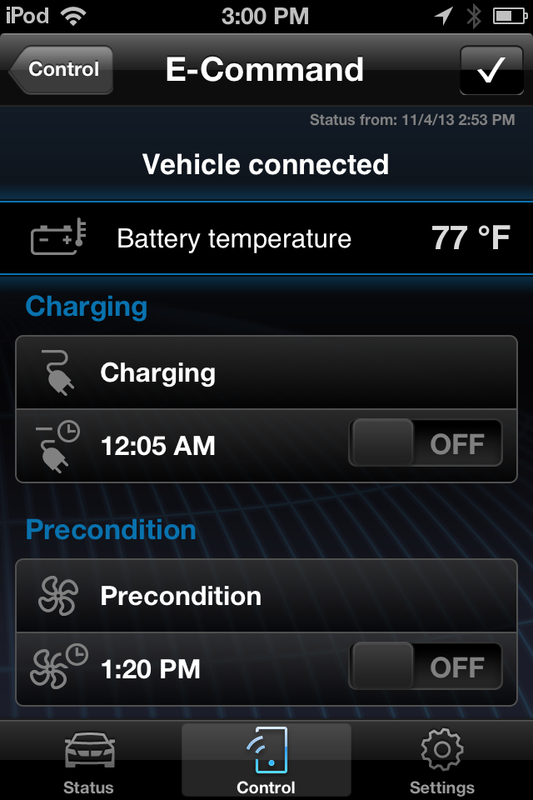 The My BMW Remote does show this status and enable one to change the scheduled time of charge as well as initiate a charge directly. 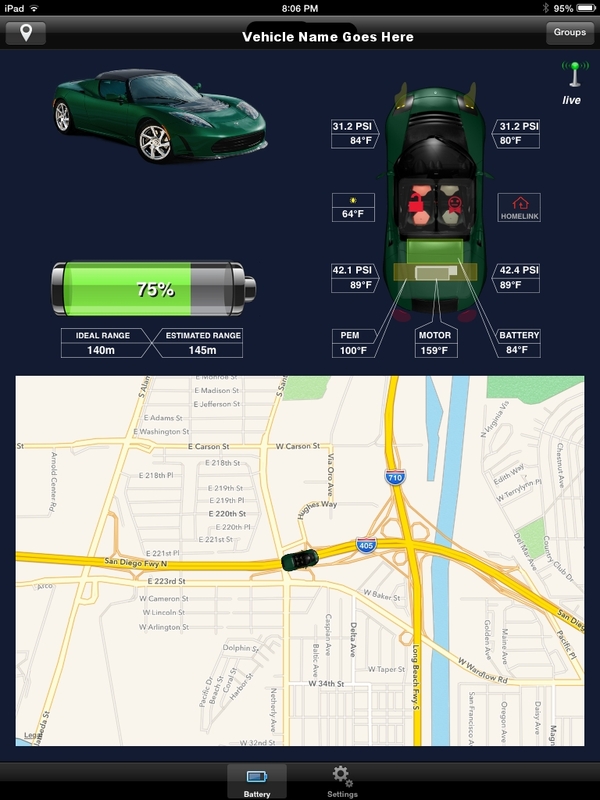 It also monitors whether or not the car is plugged in at the location. The My BMW Remote does a good job of providing this feedback in the same manner as the vehicle does as far as when it expects to complete the charge to 100%. It Actually provides the hour:minute estimate of how much time is left to complete the charge. 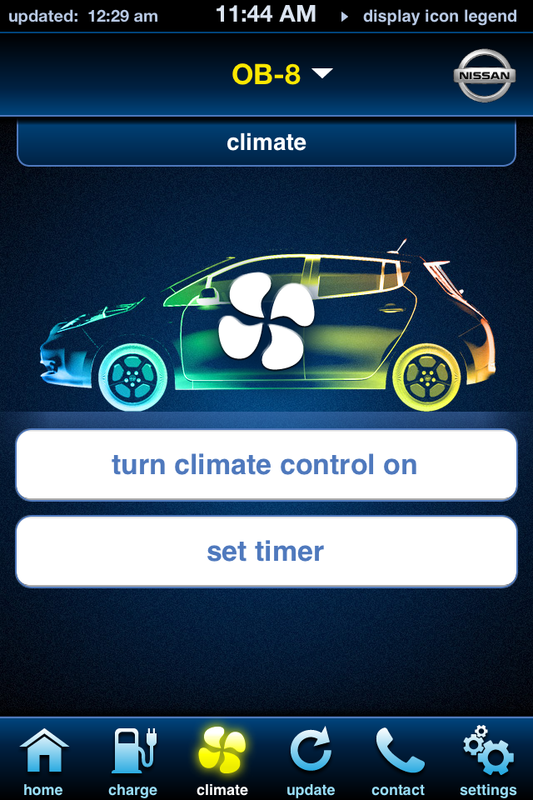 However, this algorithm is actually toward 99% charge and not full stop as the slow down for the last few minutes can last a while if the user wants to unplug when the car is completely stopped its charge. This is not an issue on the Active E as the close end lease from BMW will run out before access to these systems are in place. 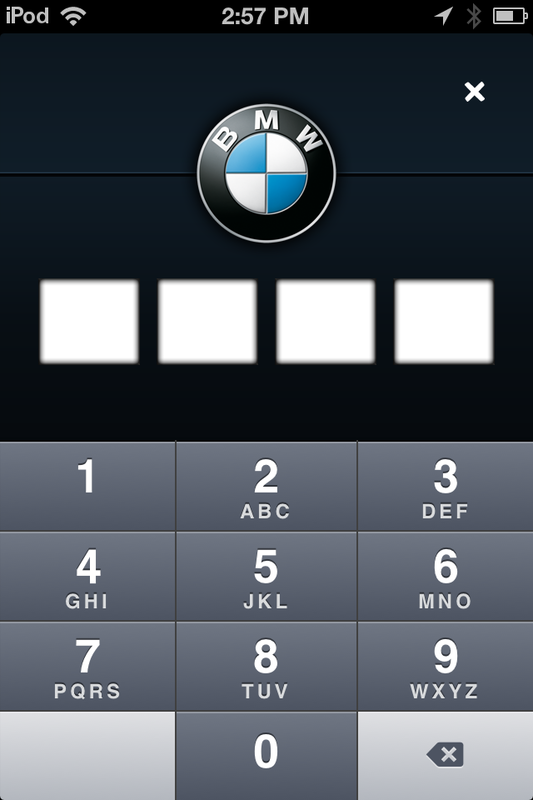 The My BMW Remote App requires the end user to enter a PIN code every time the application is launched. This can be annoying, but the more paranoid would enjoy the security of such a feature. 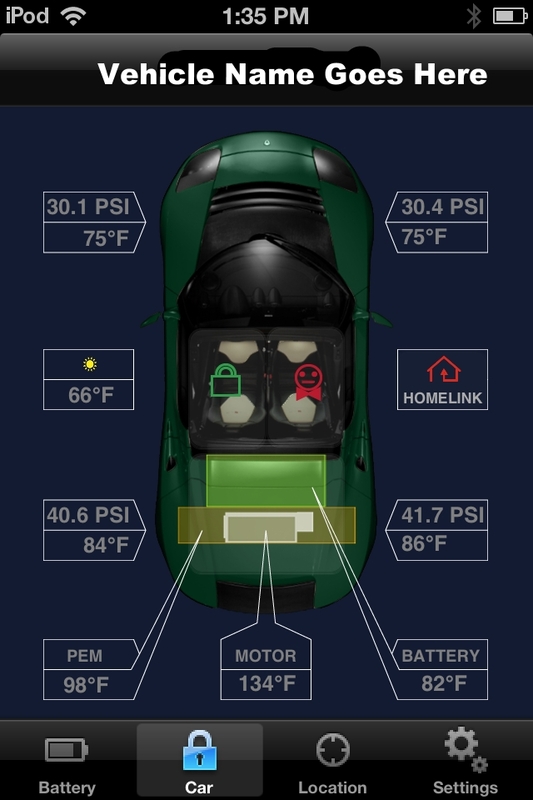 It’s nice that the Application tells the end user the battery temperature, the outside temperature, and the inside temperature of the vehicle. In SoCal, this is used to COOL the cabin down before picking up the car, I’m sure in other parts of the country it is used to HEAT the cabin before getting to the car. Lastly, the end user has the option of loading the office and home locations and the application automatically computes whether the end user has enough range to get to either location with the SOC of the vehicle. 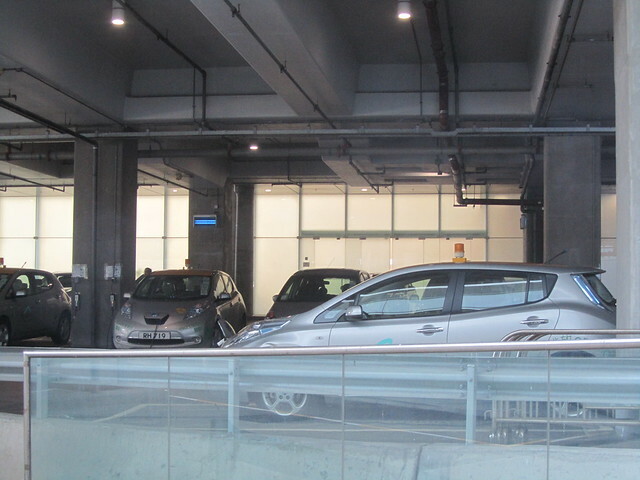 The Open Vehicle Monitoring System was launched approximately two years ago (November 2011) and constant improvements have been occuring. 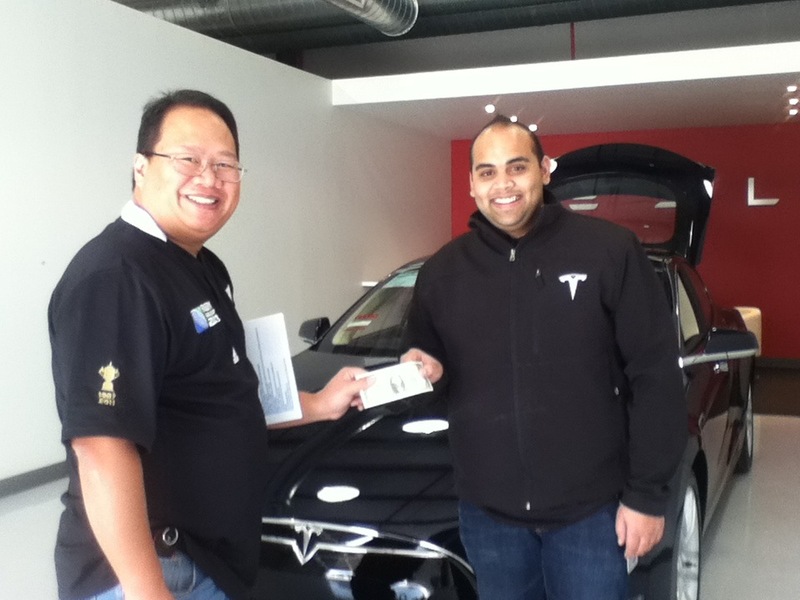 In fact, there is a thread on Teslamotorsclub.com that discusses the Technical improvements to OVMS. I recently chronicled my install of OVMS on the blog. I installed the formerly current release I believe it was 2.3.2 (prior to the release of 2.5.5 on October 28, 2013) of OVMS firmware in our Roadster 1.5. The behavior and features available to each instance of OVMS is constrained by the vehicle that you connect it to and the firmware release of OVMS. More information on OVMS can be found on openvehicles.com. OVMS has Apps for iOS and Android. Additionally, it can be configured, controlled, and monitored using SMS. 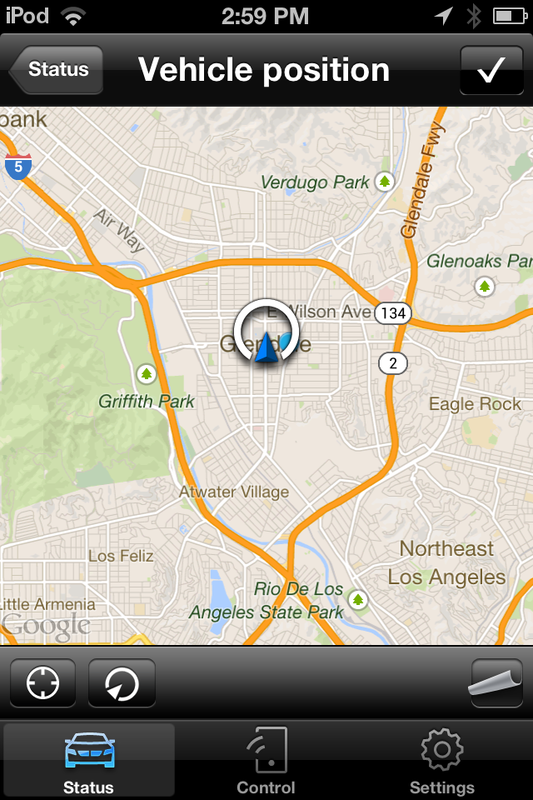 OVMS tells you on the upper right hand the status of the data. Live means within a minute of looking at the app. The product updates to a server graciously donated by the teslamotorsclub.com for folks to host their OVMS status. When the antenna is green and lit up, it’s good. Nothing is free on OVMS except for the development effort (which one should really support AFTER purchasing the necessary pieces, etc.) Give what you can to the guys. 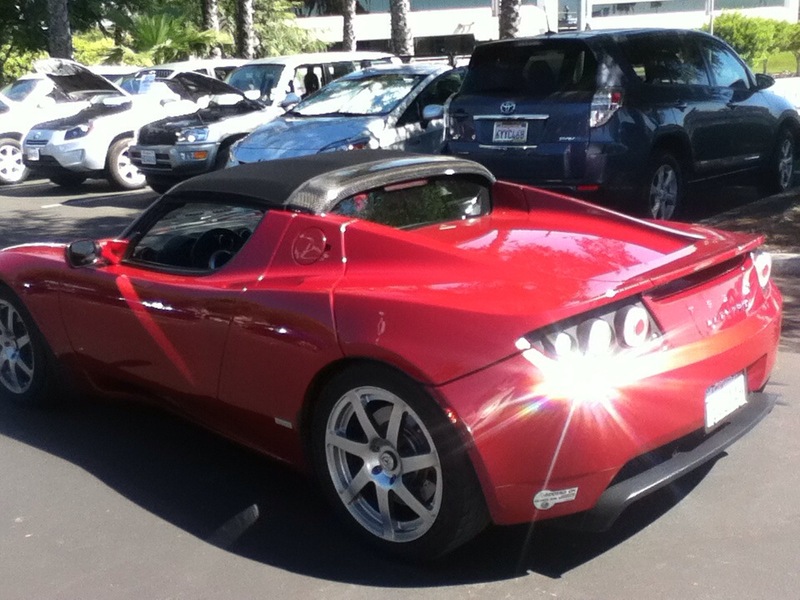 They really made the Roadster a more modern EV with the Telematics that was added. I’m still discovering what we can do with it and I do enjoy the difference in the interface between the iPod and iPad. In the iPod, the screens are paged to three different pages. On the iPad, it uses the whole screen. 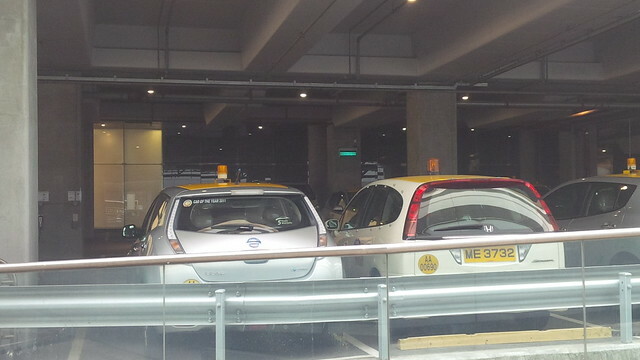 OVMS also uses the feedback available on the connection to the vehicle to alert the user via text message or the app when the car stops charging unexpectedly. This is useful when one needs to ensure that one gets a full charge. The BMW My Remote does not do this and I often rely on Chargepoint or Blink’s networked EVSE to provide this intelligence rather than the vehicle’s feedback. Top notch product and service. Yay user community! 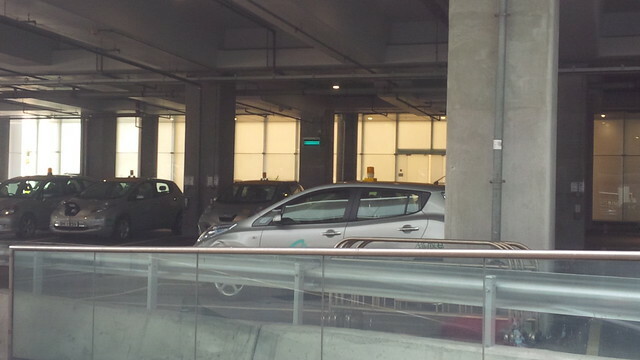 Third, CarWings and Nissan Leaf. Carwings is deployed on iOS, Android, AND Blackberry. It’s kind of cool in that. However, the command structure seems to employ either SMS or a query/response system between the user App, a server, and finally the vehicle. 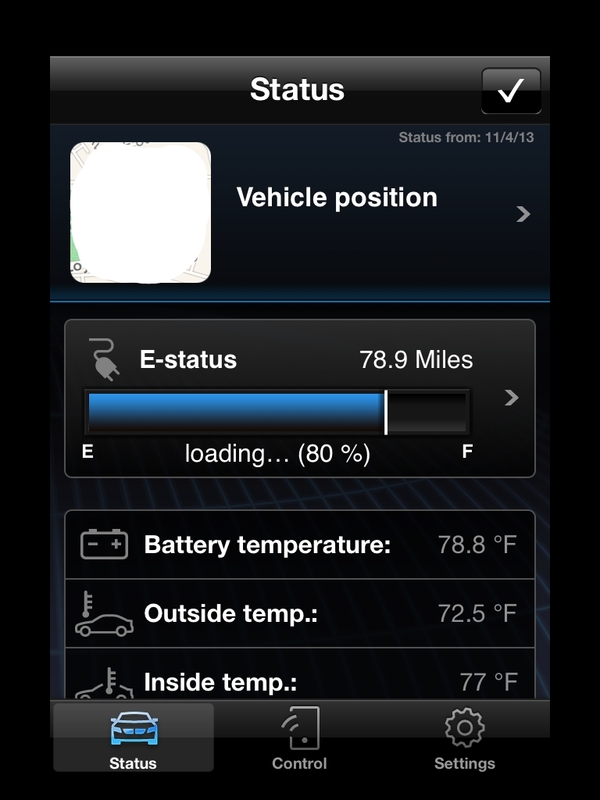 As a result of this query system, one must be cognizant of the Updated field in the middle of the application to see when the status was polled from the vehicle. If you do not set the Application for auto-poll at start up, you need to initiate one. Then wait for the response to get the update. Aside from the pause, stop, start, nature of a manually requested polling system, the Leaf and Carwings knock A – C out of the park. 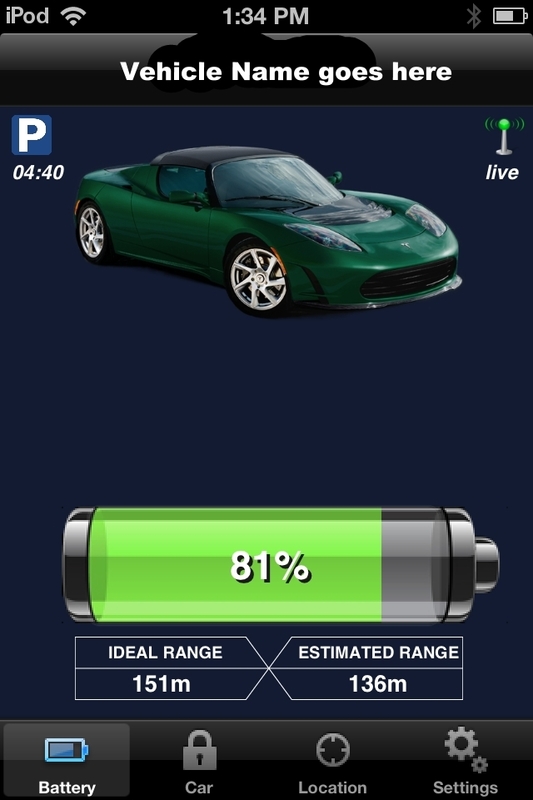 It gives a status on what speed the vehicle is charging at, an estimate of how long it will take to charge over differing conditions, it lets you know easily whether the car is plugged in or not, whether it is charging, or not, etc. 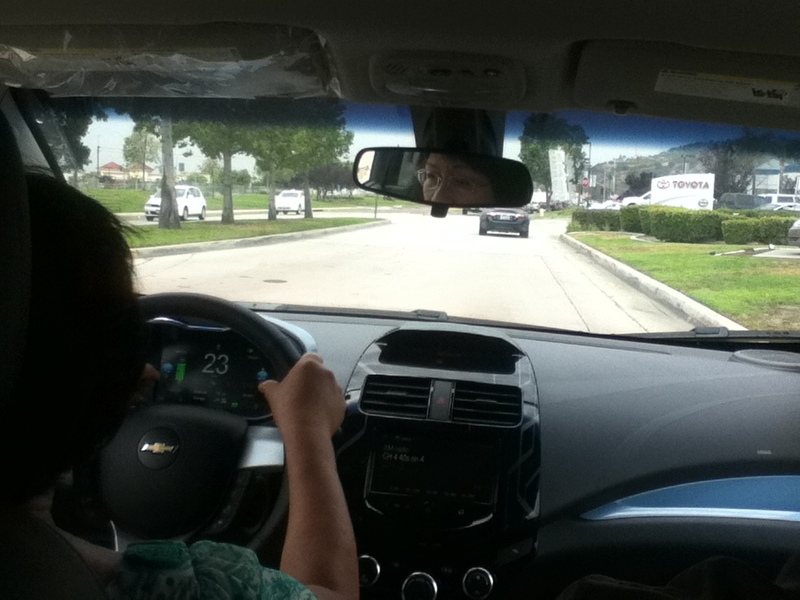 At time of lease (this is my mom’s vehicle that we’re reviewing.) CarWings was included for three years. Nissan has announced that European ones will be free past their initial period, I have not really paid attention to the US Nissan program, so I really shouldn’t comment on that. 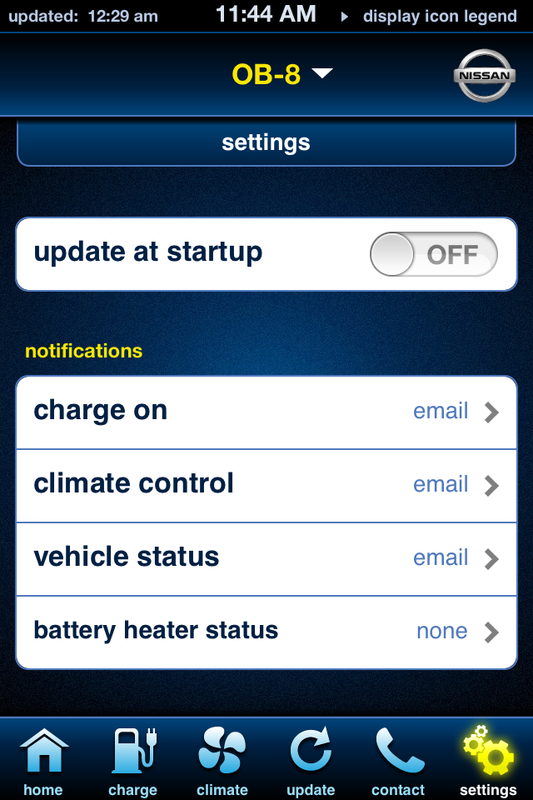 I really enjoy the configurations for Carwings to NOTIFY the user via email and text messaging of the charge status whether the charge was interrupted or not. 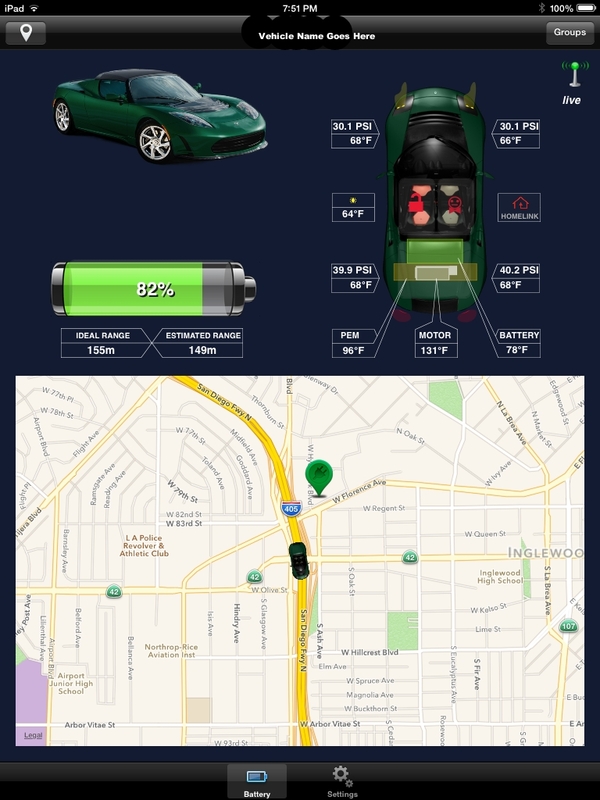 Additionally, the user can configure the vehicle to recognize (via GPS) when the vehicle is near a preferred parking location that it should plug in at. For example, since my mother is >60 years old, we have it set to notify her (and me) when she’s home and forgot to plug in. 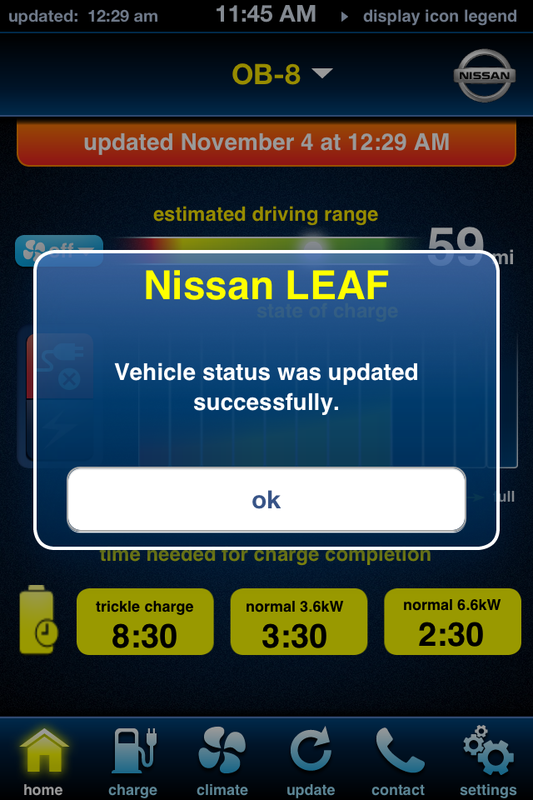 This particular feature combined with the stopped charging notifications that we set up on the car enabled me to remotely diagnose when my mother’s 2013 Nissan Leaf started to exhibit the 6.6kw charger problems that was reported with earlier batches of the vehicle. 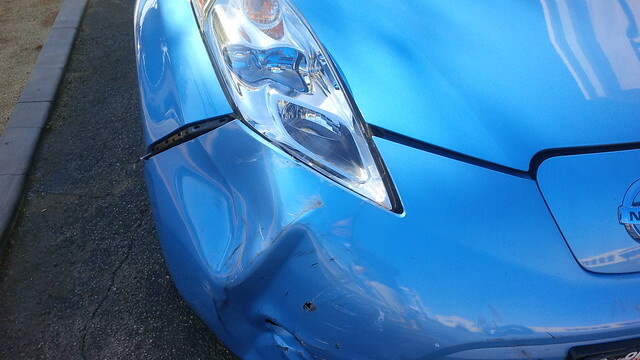 This then enabled her to take the time to get the vehicle back to Nissan for service. 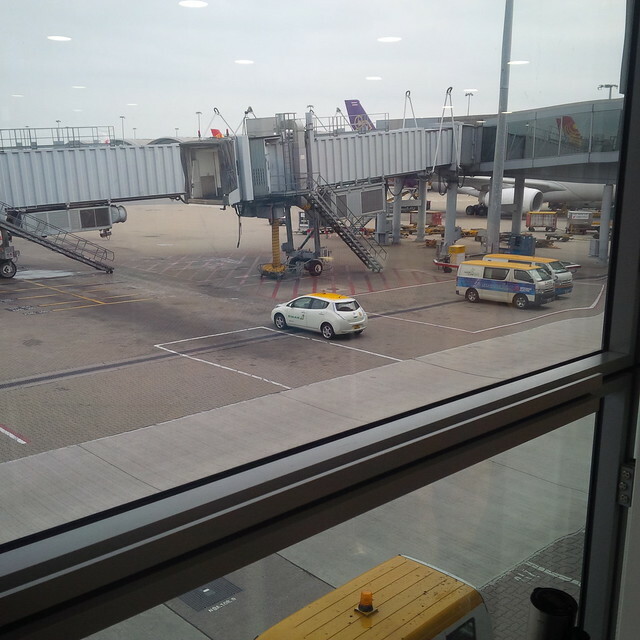 My mother loves the ability to remotely engage the cooling (warming) features of CarWings so that she can initiate cabin control when she is a few minutes away from her vehicle. 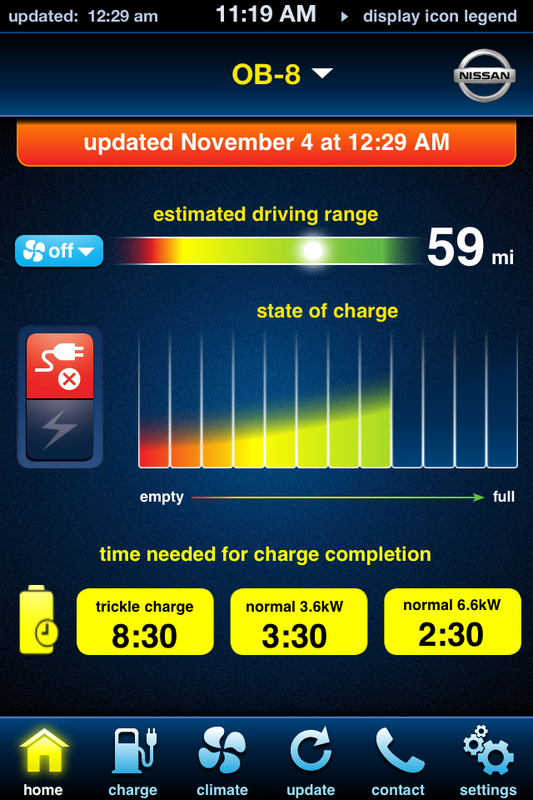 Telematics is an important part of the EV experience. 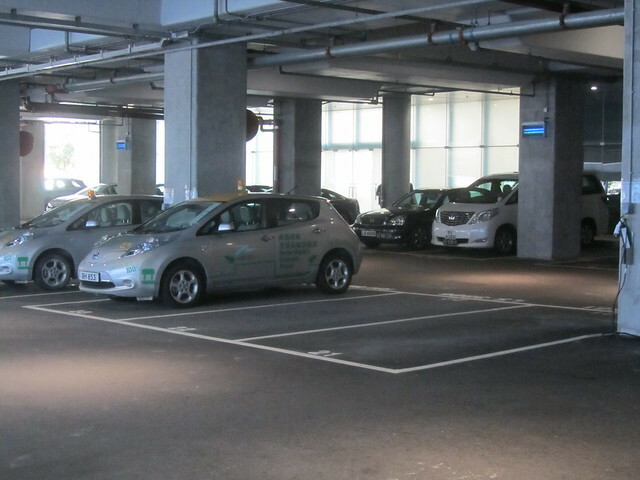 It is this feedback experience that enables EV drivers to be more “in tune” with their vehicles than their ICE counterparts and allow EV drivers with a superior experience on the road. Been on a trip for a few weeks and finally had the time to do my homage to National Plug in Day… Apparently, this is the third year of the event, so I’ve attended three of these events over the past three years… However, I did TWO events last year, so not really the same, is it. In 2012, I went to two events in two different locations in the same day. The El Segundo one and the Cypress one. This year, I had a flight to catch to Dubai later in the evening, so I could only attend one event. So, I picked the one in Long Beach. They did a really cool thing at this event and had a space in the front of the event to highlight one of each vehicle that came by for the event. It was definitely much bigger than either event last year. The event was well attended and well organized. 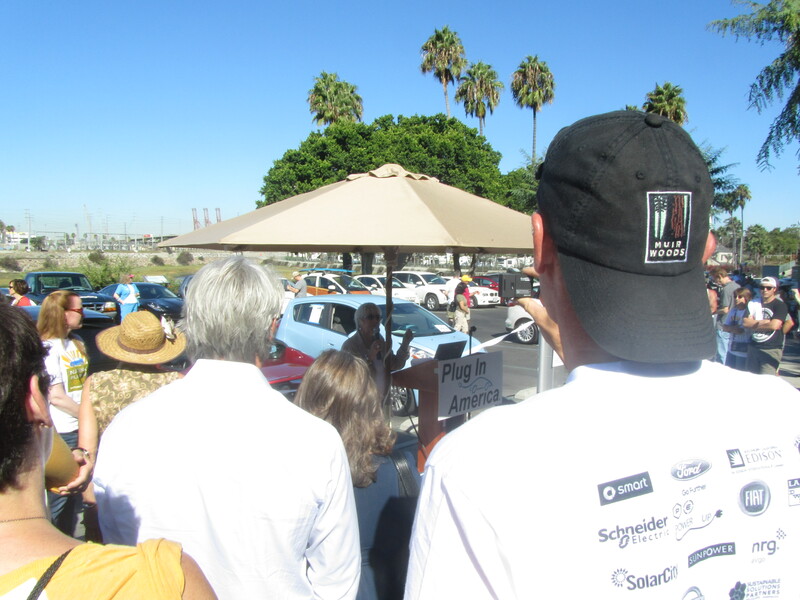 Adopt-A-Charger was opening a new sponsored charger at the California State University Chancellor’s office in Long Beach. 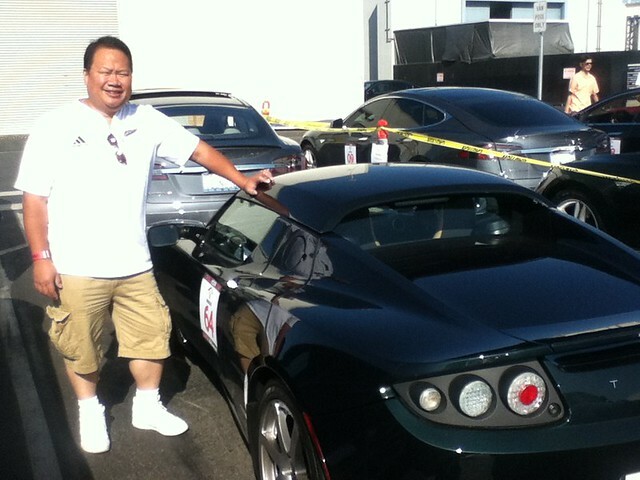 They were demonstrating the Tesla Roadster that was listed on eBay as a donation to Plug In America. It’s a pretty sweet little red Roadster. 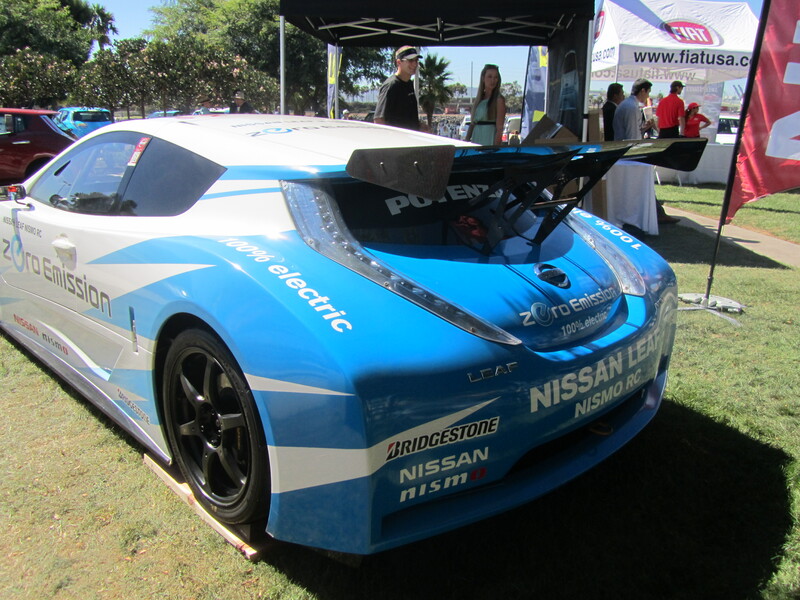 There was also a Nissan Nismo Racing Leaf in attendance. Didn’t get to drive it, but got some cool pictures of it. 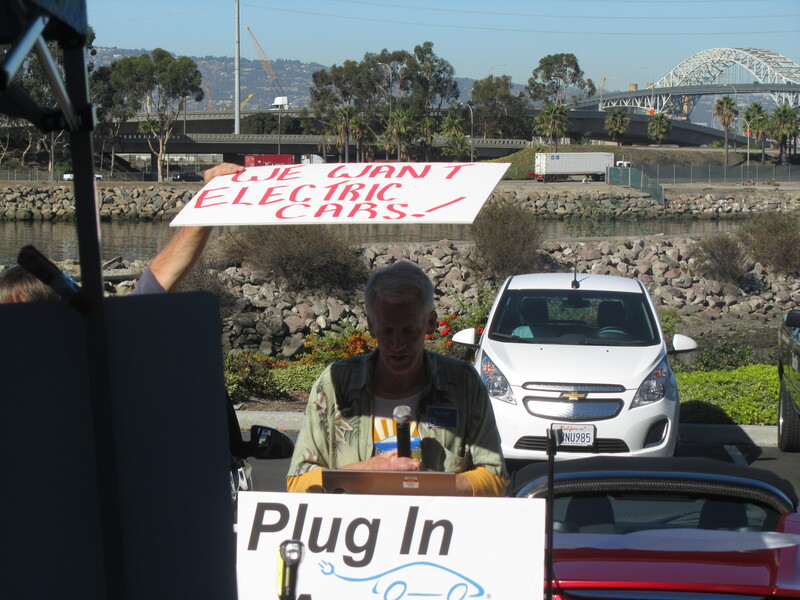 There were speakers, including Plug In America’s Paul Scott (also known as the guy who was given his money back when he publicized what he would spend to speak to President Obama). 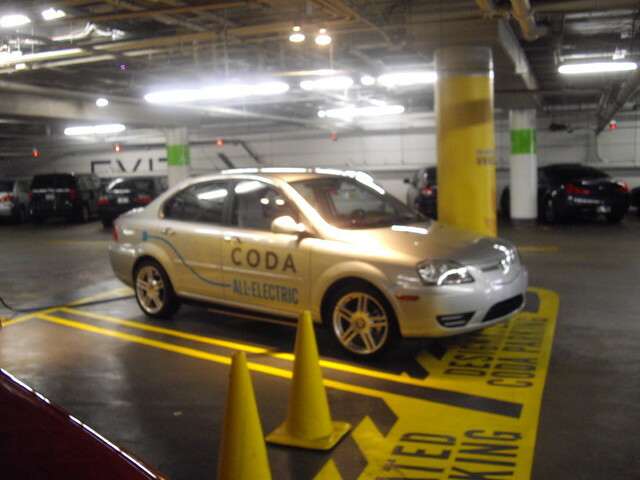 It’s reassuring to have representatives of my district both in State and Federal level be “EV” friendly. Here’s to hoping that more will represent us in other parts of the country. The challenge with being in such an EV friendly location is that it skews ones perception of the “challenges” of EV adoption. 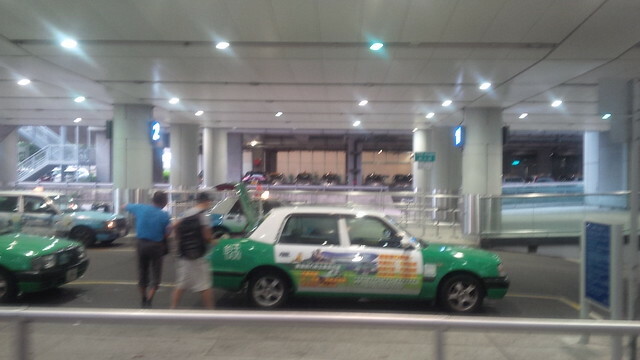 I suppose, “act locally and think globally” is an appropriate slogan here. However, let’s contrast this once again to the EV situation in the Middle East. It would be foolish to think that we would convince folks in the Middle East to abandon oil. However, there is no reason for the middle of the United States to be as devoid of EVs as the Middle East. However, it is important to note that the challenge will become similar to the Middle East situation as the United States becomes one of the larger net producers of oil and gas with the discoveries of oil reserves throughout the Bakken, Barnett, Eagle Ford, Marcellus Shales and others. 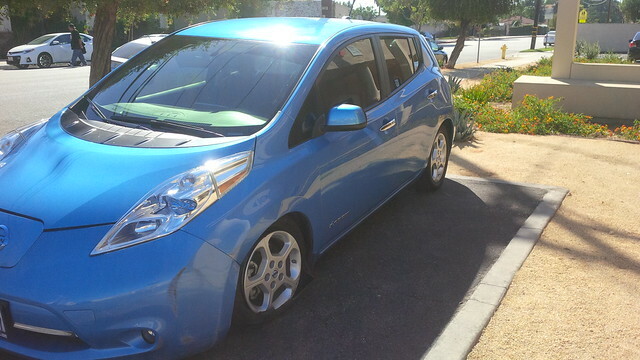 As long-time readers have noticed, I’ve been testing a lot of other EVs in preparation of for being forced to handing in my Active E at the end of the two year close end lease. 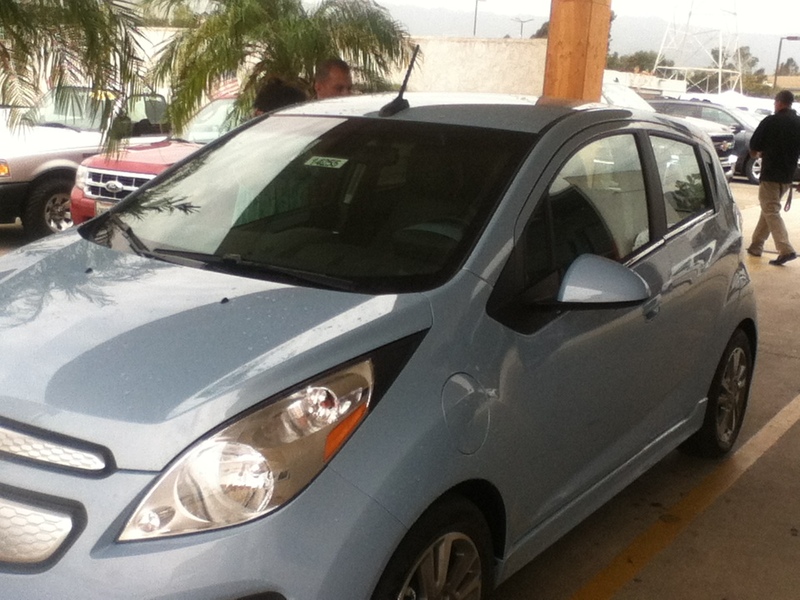 Aside from the Tesla Model S, which is the current front-runner, I have driven a Chevy Spark EV, Chevy Volt, Coda (no longer being made), Fisker Karma (no longer being made), Ford Focus EV, Honda Fit EV, Mitsubishi i-MiEV, and Nissan Leaf. Well, it would seem that my many other test drives have given way to being used for something other than eliminating other EVs in contention of being my “next” EV. 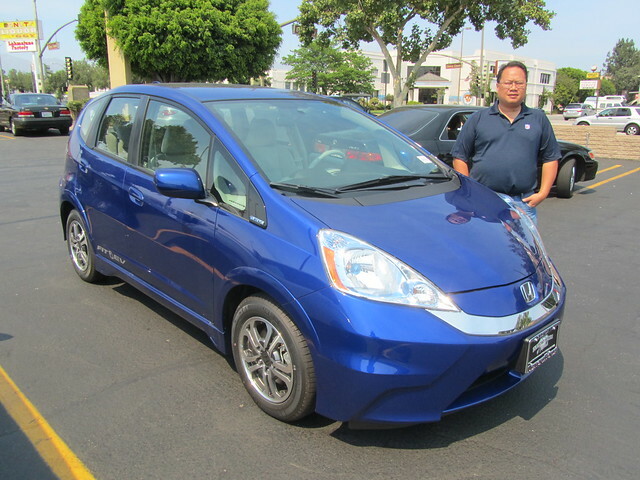 Let me present you with the latest member to the rEVolution… My mother… She’s in her really late 60s (not really, she’s older than that) and was convinced by the cost of gas and the recent Honda Fit EV promotion to consider moving to an EV for her primary vehicle. She will still be keeping her ICE minivan so that she can run a hybrid garage (like we do) and in the off chance that she has to shuttle her clients with larger families, she can still fit them in her minivan. I fully expect that she will do the thing that most EV drivers do once they get used to their EVs and user her minivan less and less. The guys at Nissan of Duarte, specifically Jeb Loberiza Martinez (He can be reached directly at (626) 710-8445 or at the dealership at (626) 305-3000), took great care of us on top of getting us the car we wanted at the deal that made sense for us. 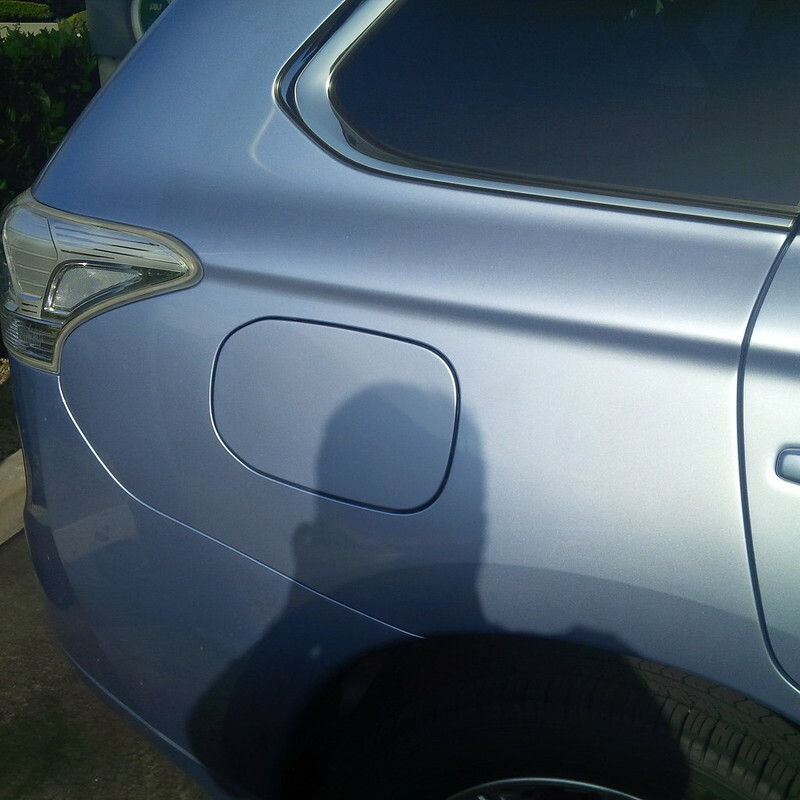 Though the trim level we originally specified was not at the lot, they were able to trade for it and get us OB-8 with all the important things that we desired. 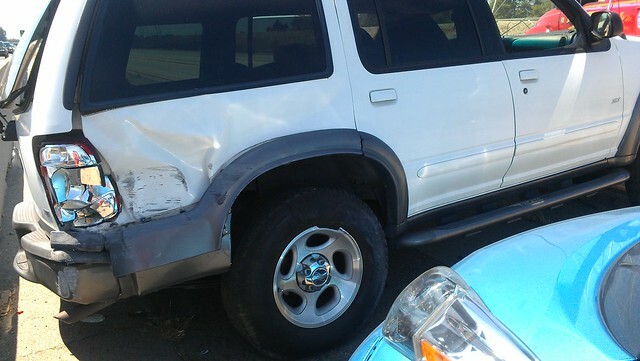 They even delivered the vehicle to her house the next day (as the car had to be brought back from another dealership.) 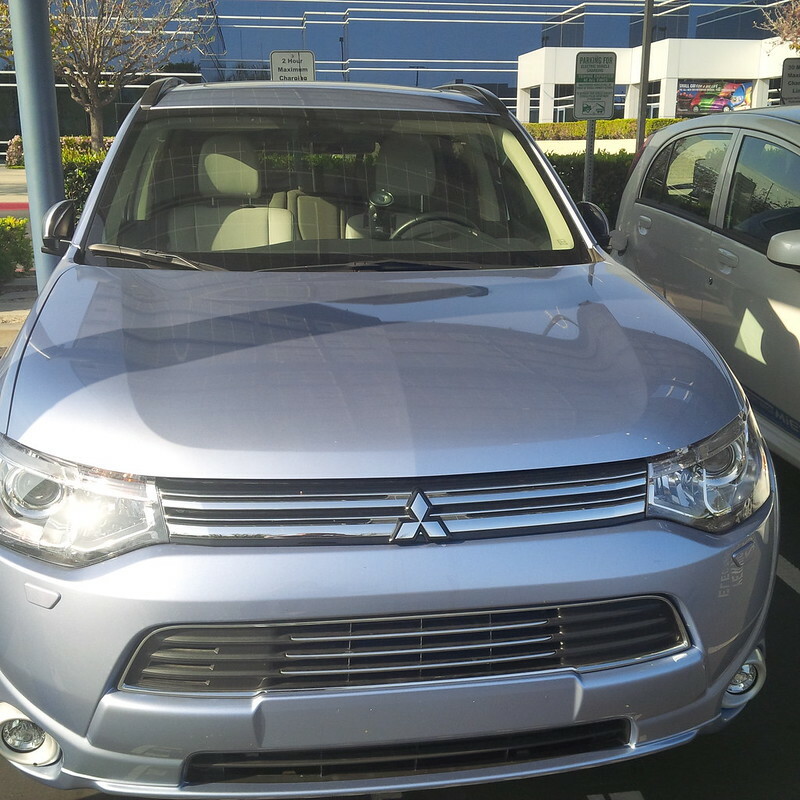 The current lease models that are available for Californians and the lucky few states that these vehicles are available in make it a bargain to jump in and go EV. I am of the belief that folks that are considering jumping into their first EV and are somewhat reluctant should consider a lease to ensure that the lifestyle is for them, if one is fearless OR getting a Model S, then jump right in, the water is fine! She was committed to getting an EV that on Tuesday of last week, a full two days before we were set to go pick up an EV, we went ahead and ordered an EVSE for her home so that she can charge at 240V (30A) when we get her car. We decided to get her the Aerovironment 30A with removable plug from Amazon because they have a local presence in the Los Angeles area, on the off chance that we would require service in the future. What were the other candidates for her first EV? We had originally desired the Honda Fit EV. However, as anyone else on these waiting lists can tell you, the chances are slim to none to get the “killer” $259 unlimited mile three year close end lease. With that option practically out, we narrowed down the choice between the Ford Focus EV and the Nissan Leaf SV. 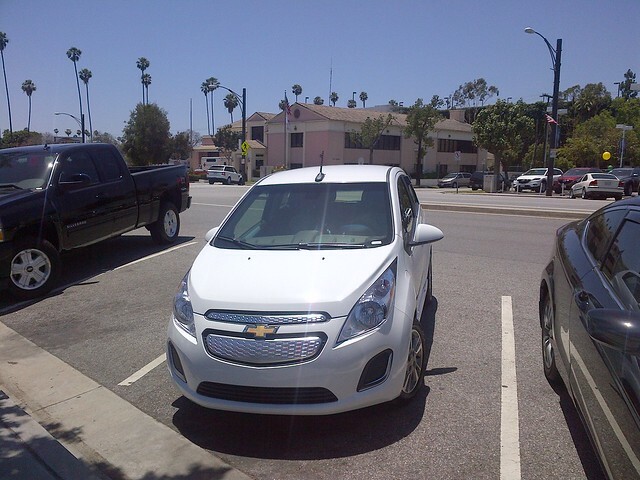 Interestingly enough, the evening before we would go and finalize the acquisition of her EV, I got a call from several dealers of the renewed availability of the Chevy Spark EV, and we decided to go ahead and give that a try. 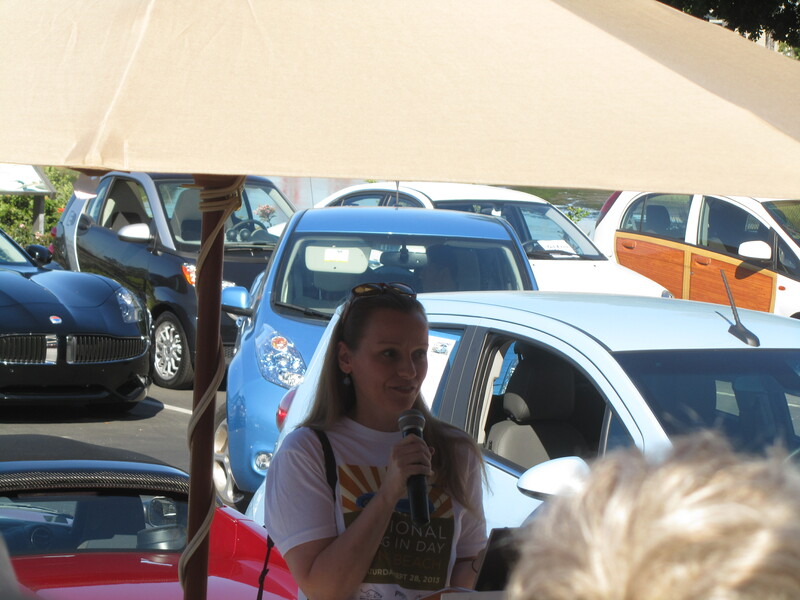 She had a great time driving the Spark EV. She liked the availability of Quick Charging in the future, but we could not get a straight answer from most folks regarding what Chevy meant by “Future Availability” on the 2LT model she was considering. 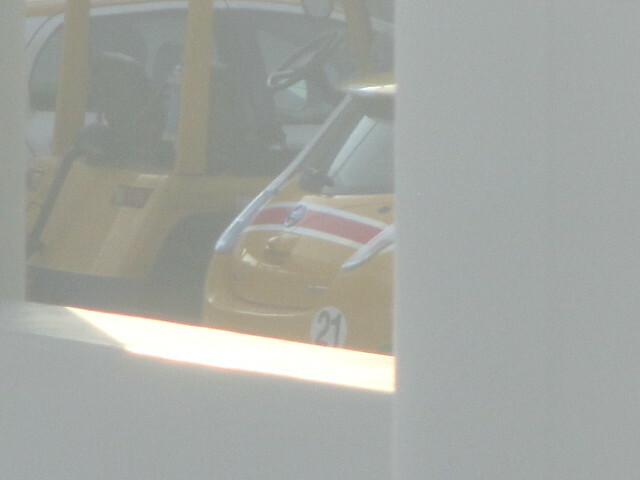 Whether this meant it is because there are no J1772 Frankenplug chargers deployed or whether this is an add-on that would need the car to be brought back to add when the faster J1772 Frankenplug becomes deployed. In the end, this lack of certainty, the charger at 3.3 kw vs. 6.6 kw for the two top contenders, and the lack of a fifth seat eliminated the Chevy Spark EV. 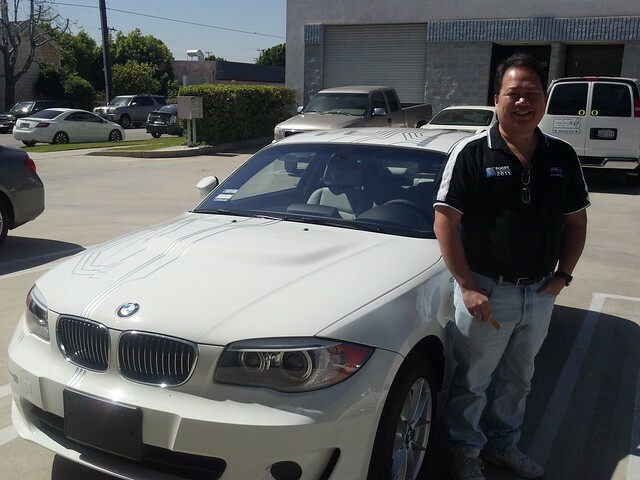 All was not lost however as we found a very helpful gentleman from the Glendora Chevrolet Internet Sales Department, Roy Schafhuizen (909) 636-6700. He was very attentive and communicative. 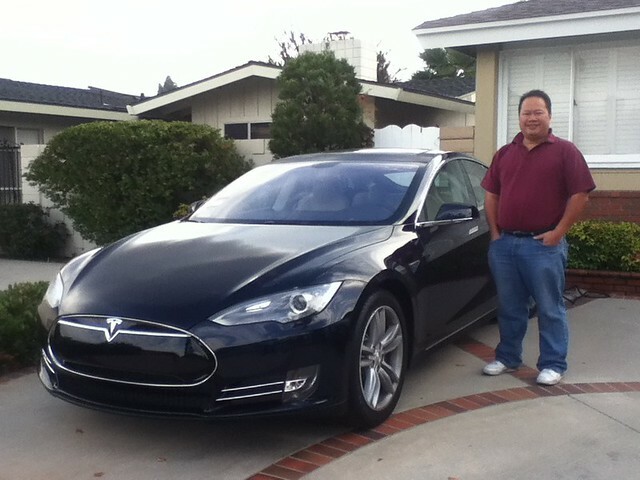 He would be a good person to see if one is in the market for a Chevy Spark EV or a Chevy Volt. 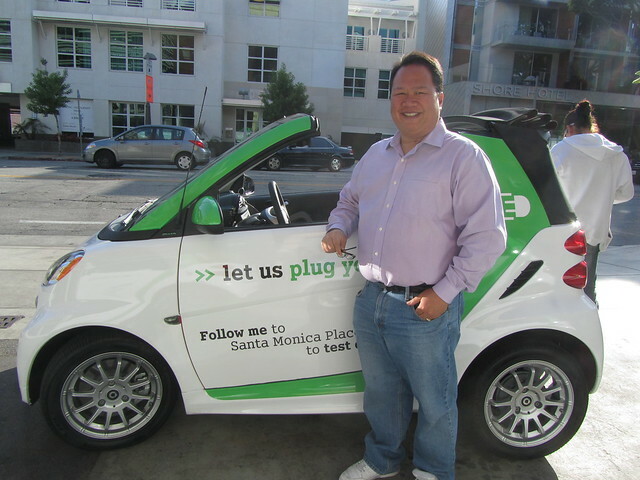 He was not an expert on the Spark EV, but he was ready, and willing to help us. With that welcome distraction out of the way, we soldiered on and had to decide between our two finalists. In the discussions with my mom, it seems that the access to a faster charger is very important. 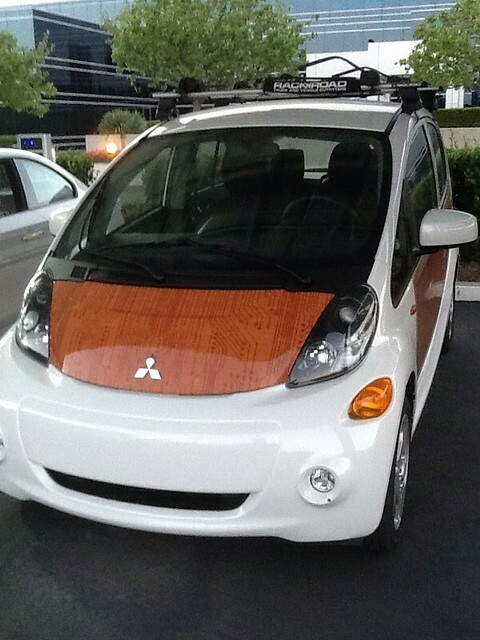 My mother is a realtor and she also requires seating for at least five, so that eliminated the Mitsubishi i-MiEV, though out of all the models that we drove, she was most comfortable in its simplicity and seats. 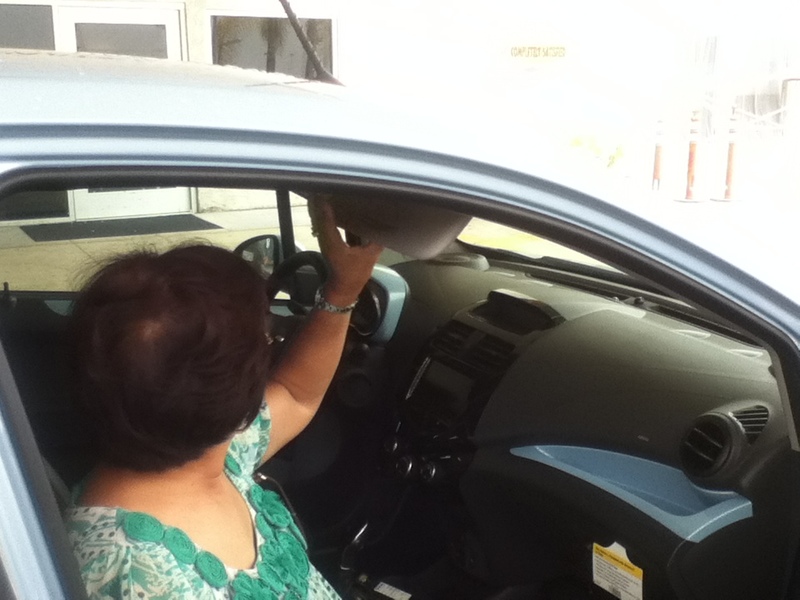 It reminded her of the minivans that she has been driving for decades. She actually is rather nervous and does not like proximity keys. She would much rather have a physical key to insert and turn in place of the start button. So this desire for a “standard” key would’ve eliminated both the Focus EV and the Leaf. Luckily, this factor came to pass. 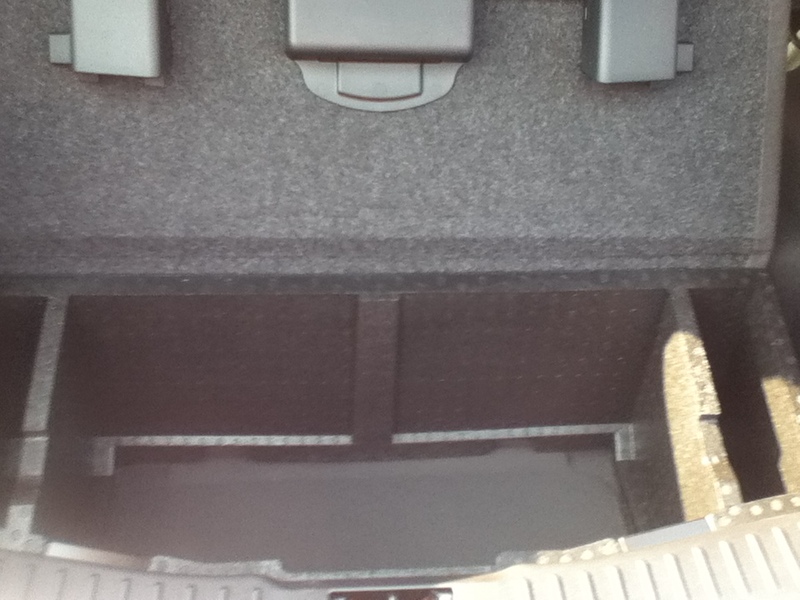 Additionally, she enjoyed the storage space in the Focus EV and “felt” that it held more cargo than the Leaf, though I would think that this is actually not the case. Lastly, Ford was a brand that she was very comfortable with. She felt that they are trustworthy. 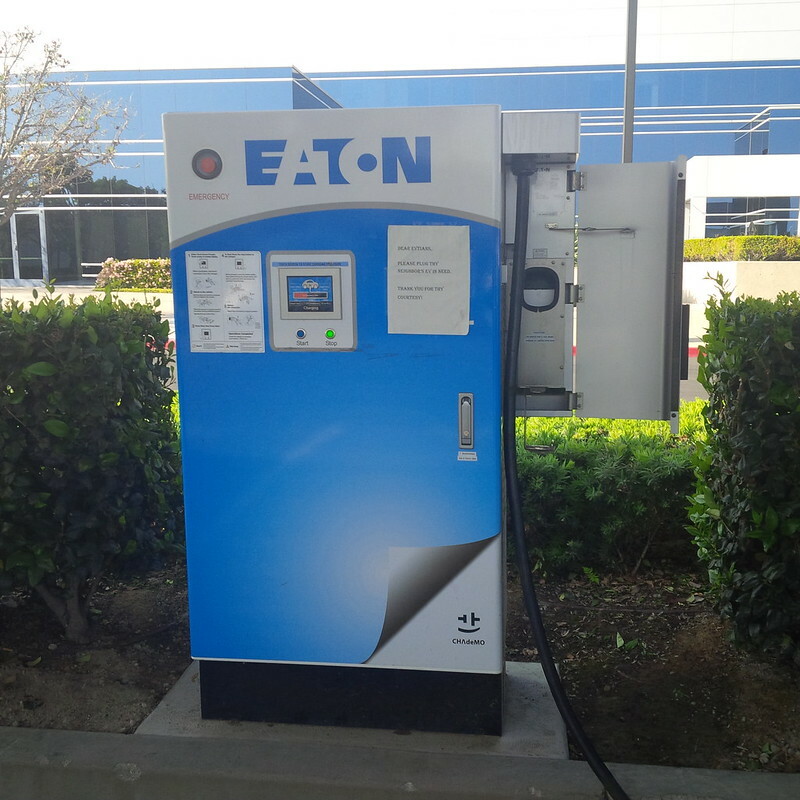 Additionally, even with all the problems that I’ve had with MY Ford Focus EV experience, we finally found a Ford dealership in Southern California to recommend to potential EV buyers. 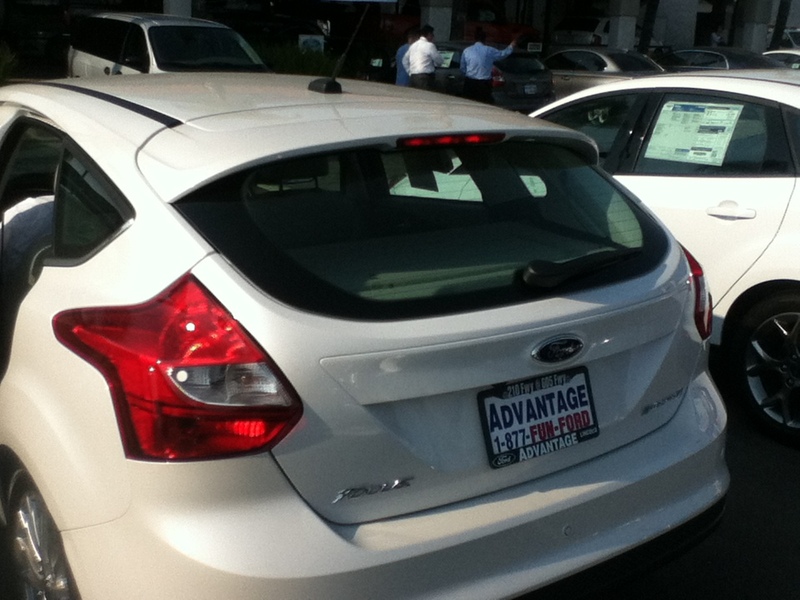 The Internet sales team at Advantage Ford in Duarte were knowledgeable and helpful. I especially appreciate both Tom Grossman (626) 358-5171 and Sarah Ocampo at (626) 305-9188 and both can be reached at (626) 359-9689. 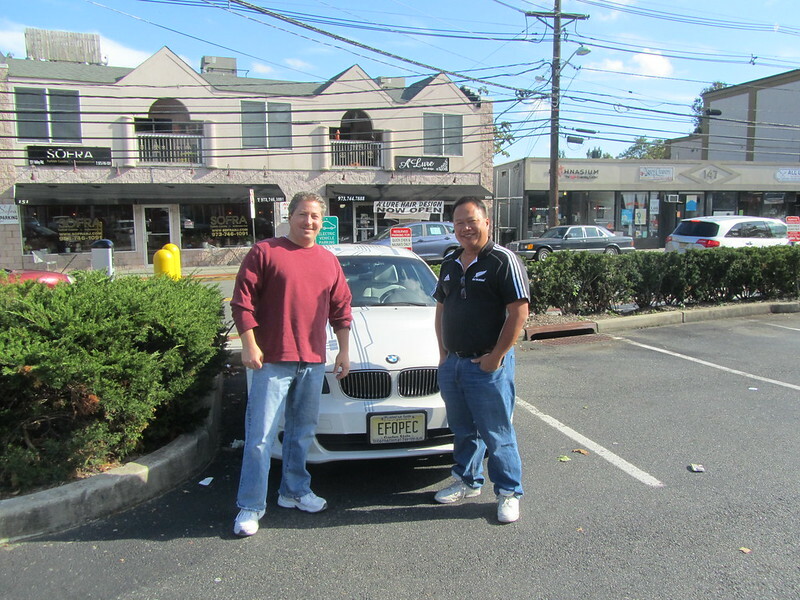 The team was very easy to work with and nothing is more telling on how a car dealership treats is customers than when one brings in a 60+ year old woman to the dealership lot to purchase a vehicle. 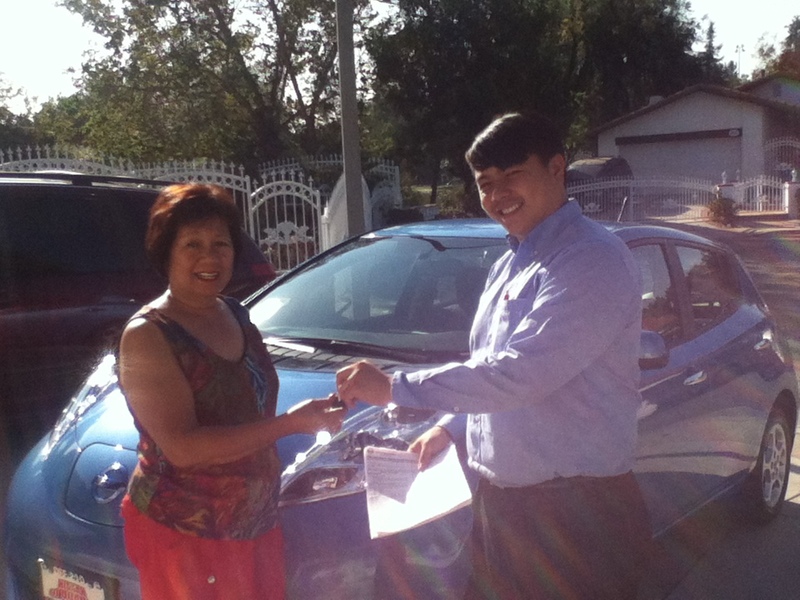 They were a pleasure to work with, and had mom decided on the Ford Focus EV, they would’ve won our business. Alas it was not the case and they get honorable mention and our recommendation should you be in the Southern California area shopping for a Ford Focus EV. 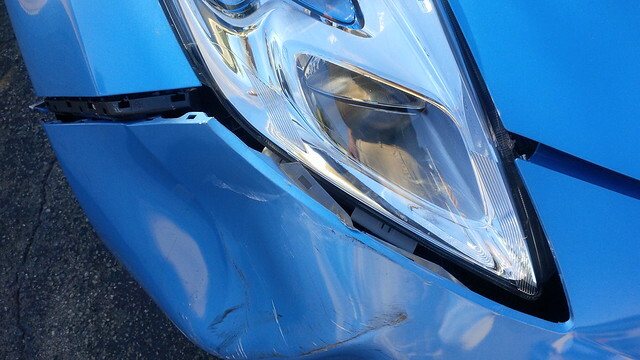 What was against the Nissan Leaf for mom. She didn’t like the “Christmas Tree” rear light set-up. 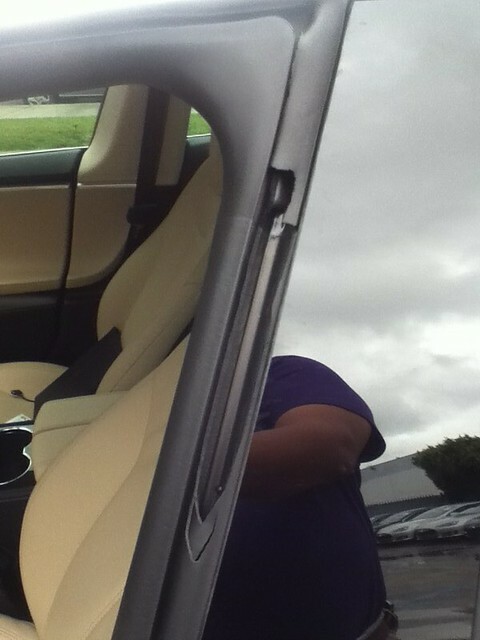 She felt the car was too futuristic looking. In the end, those things didn’t matter, because to off-set the aesthetic things she didn’t like, she really liked the Ocean Blue color of OB-8. 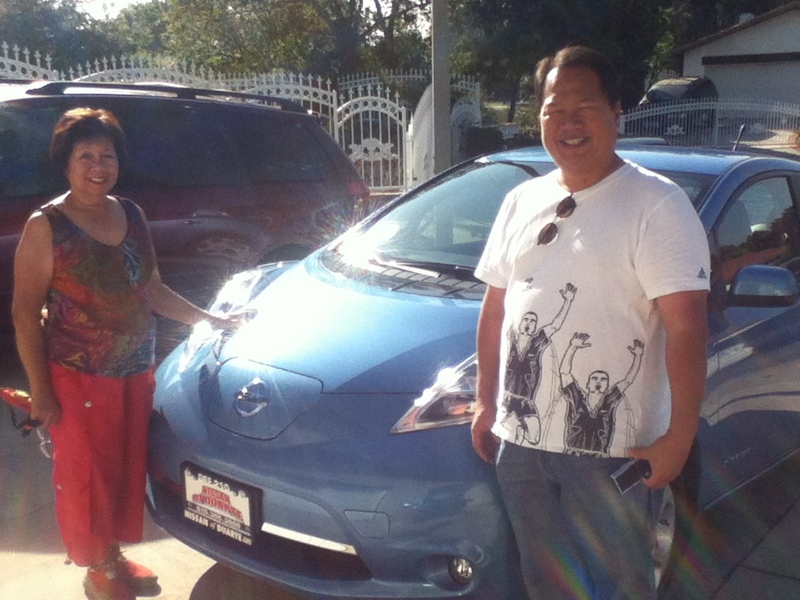 So, how did mom choose her 2013 Nissan Leaf SV. Aside from price. It really had to do with several items. 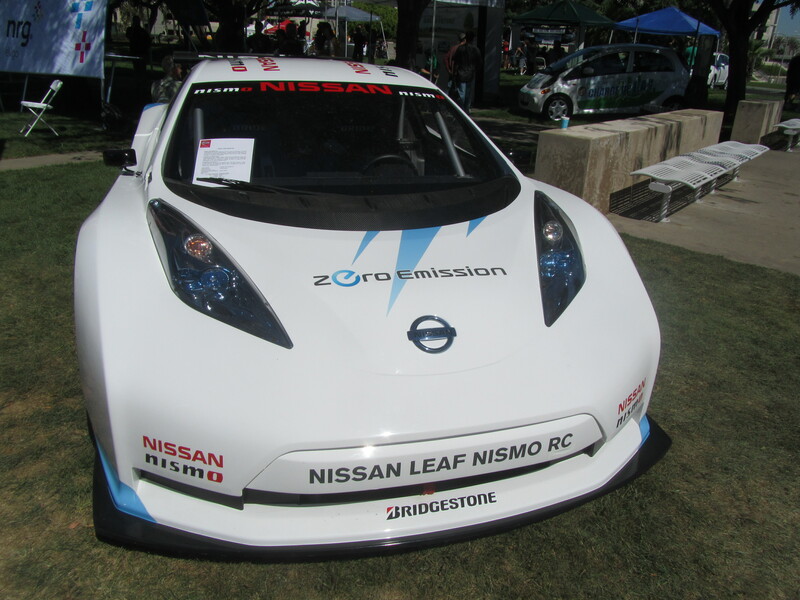 1) The Nissan Leaf has been produced for three years and she felt more comfortable with the track record that Nissan has had in its EV sales leadership. The Chevy Volt was eliminated earlier on as this was going to be one of two cars and she can choose to go ICE on an as needed basis (also the seating for four is a deal breaker.) She remembered that over two decades ago we had good experience with a Nissan Sentra hatchback in the family and was made more comfortable in this knowledge. 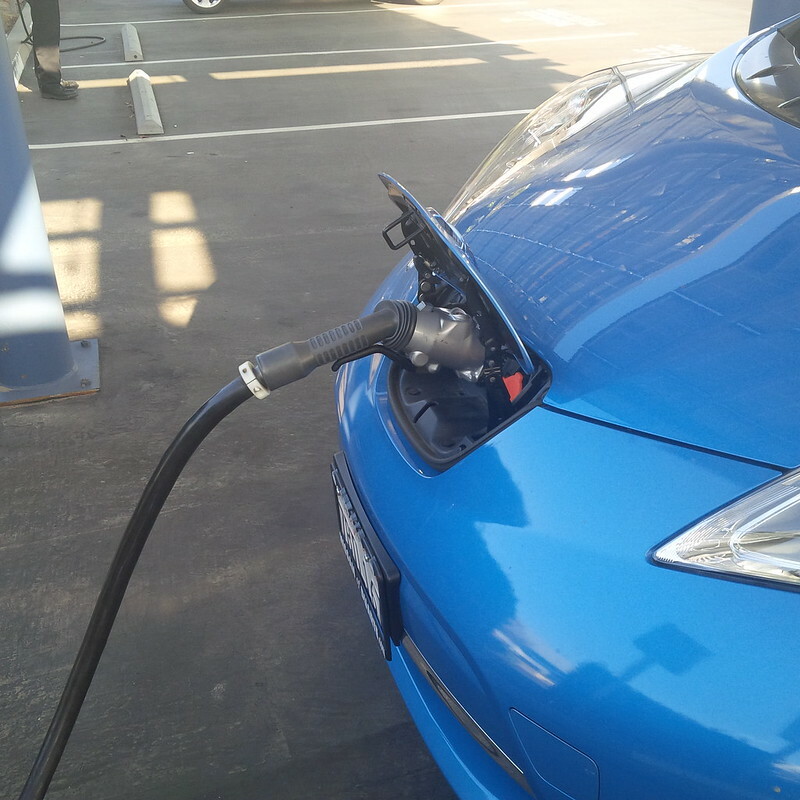 3) The increasing availability of CHAdeMO chargers in the Southern California basin (even at Blink’s expensive $5 proposition) gives her the comfort of being able to get to the required charge quickly. 4) The storage for the Leaf is less than her minivan, but still felt like she can carry enough of what she would do so on a daily basis. 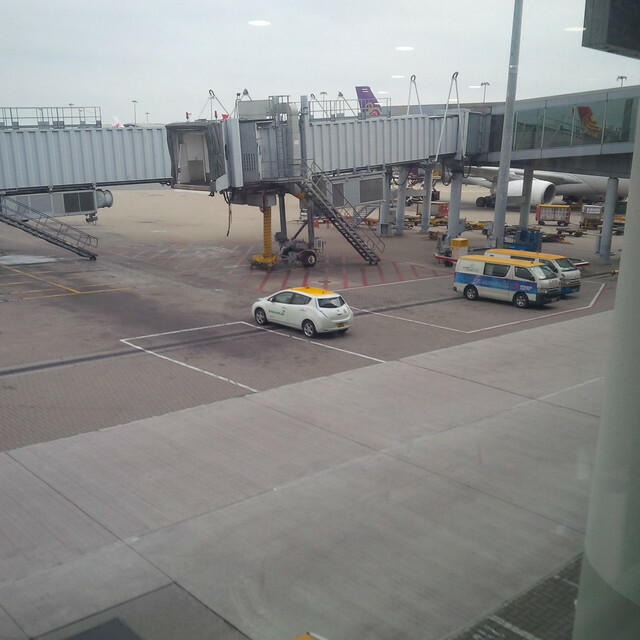 6) For me, I wanted to ensure that she got Carwings with her EV. 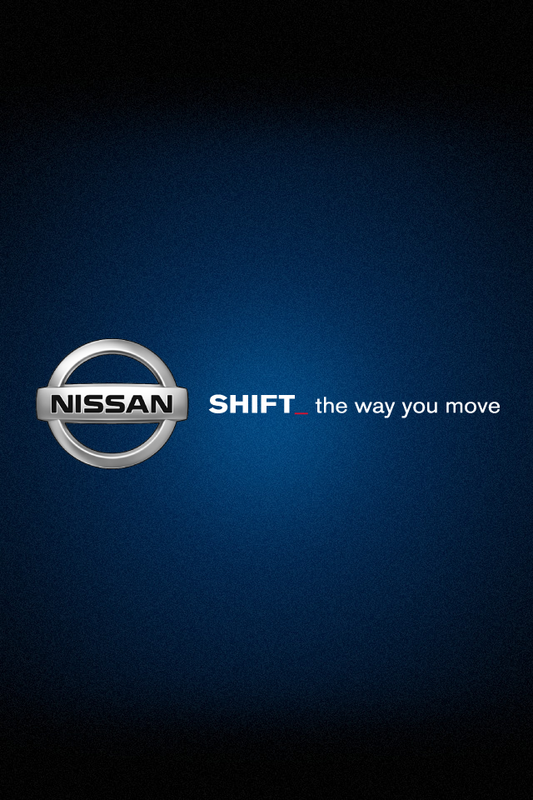 She uses an Android phone and is quite technical, so it is important for me that she is able to communicate with her car on state of charge and the cabin cooling features that are available only on Carwings enabled Nissans. 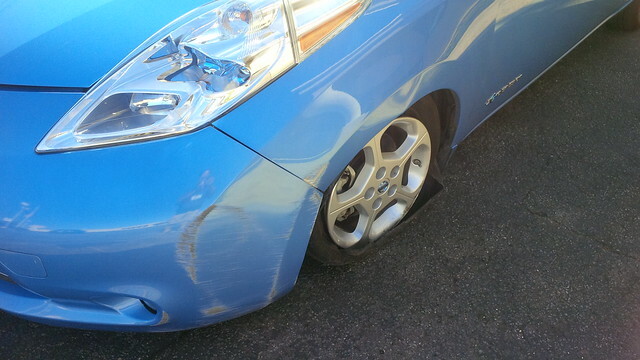 So, why did we go to Nissan of Duarte. 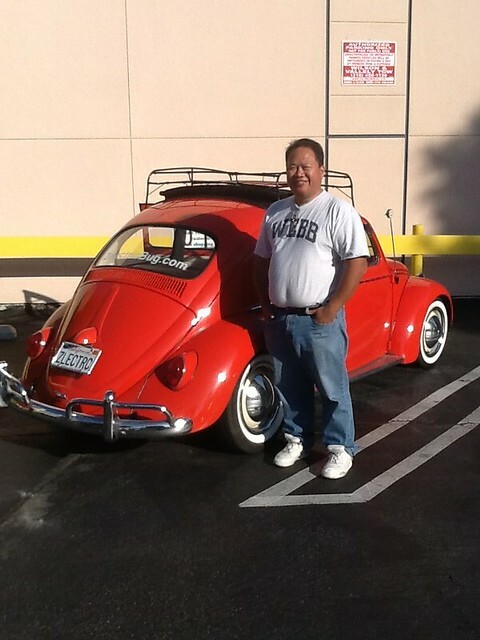 Quite simply, the customer service and attentiveness of Jep Loberiza Martinez (who can be reached directly at (626) 710-8445 or at the dealership at (626) 305-3000). 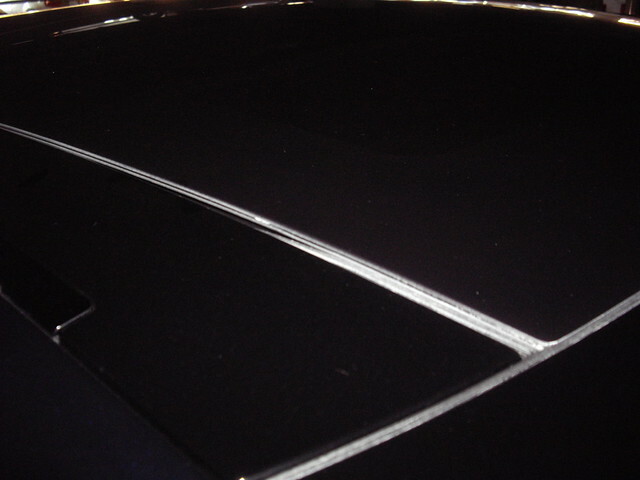 As far as the pricing went, they also beat the prices of about three other dealerships that we had visited AND they went to look for the specific trim that we wanted. 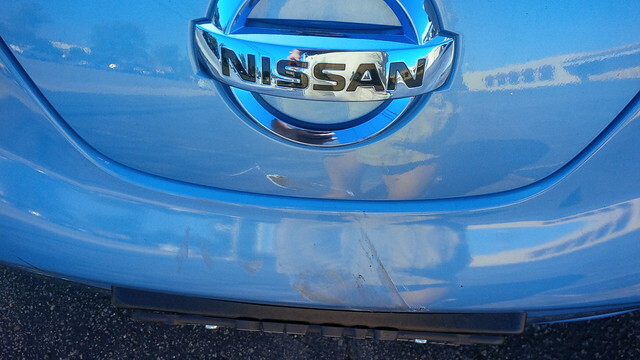 I can only mention the relative displeasure I’ve had in dealing with Glendale Nissan and Puente Hills Nissan. It is a pity that she does not commute to Los Angeles from the City of Industry Metrolink station, otherwise we could have used the rebate and other items that folks get from that specific location. 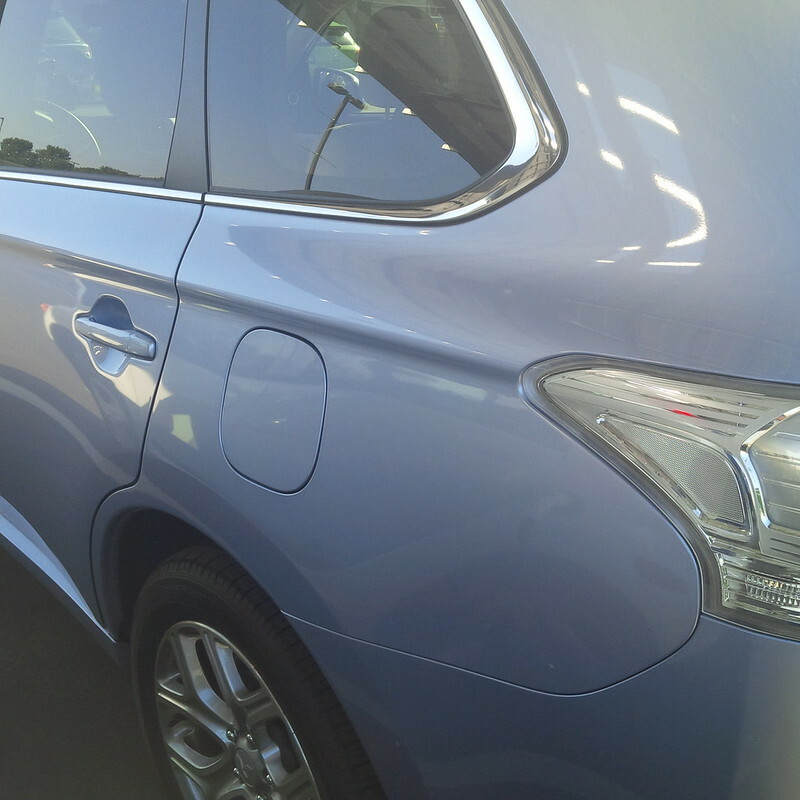 The folks at Hooman Nissan in Long Beach were very good, but did not have the trim that we wanted and the price was higher than Duarte. 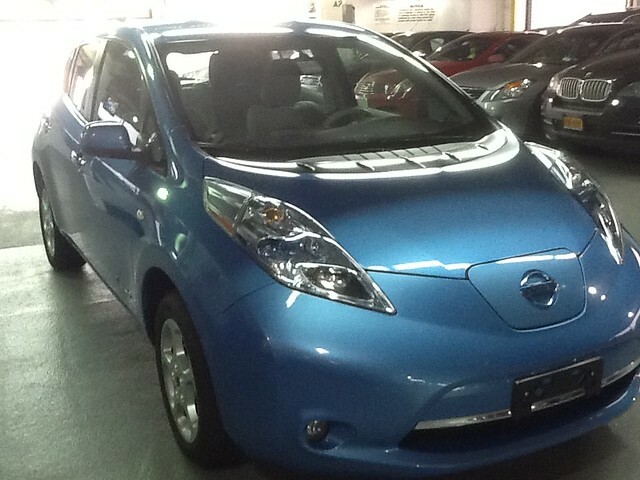 Nissan of Duarte found us the all important Ocean Blue color and the SV with the Quick Charge and LED Headlights without the Premium Package (Mom did not need, nor want the 360 view camera and upgraded stereo system (and thus the expense of such an option.)) Additionally, as of the writing of this post, several days later, Jeb not only delivered the car to her at her home, he also came back to give her some valuable training to familiarize her with specific relating to her car. So, please welcome my mom and OB-8 to the EV community. 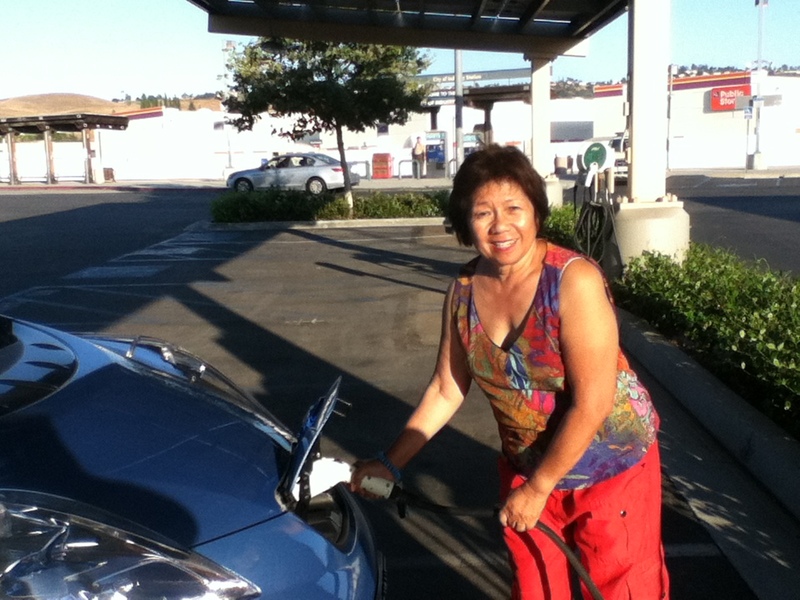 Since she intends on using public charging, I gave my mother some quick EV training tips, including setting her up on a Chargepoint account, requesting a Blink Network account, as well as train her on Plugshare. 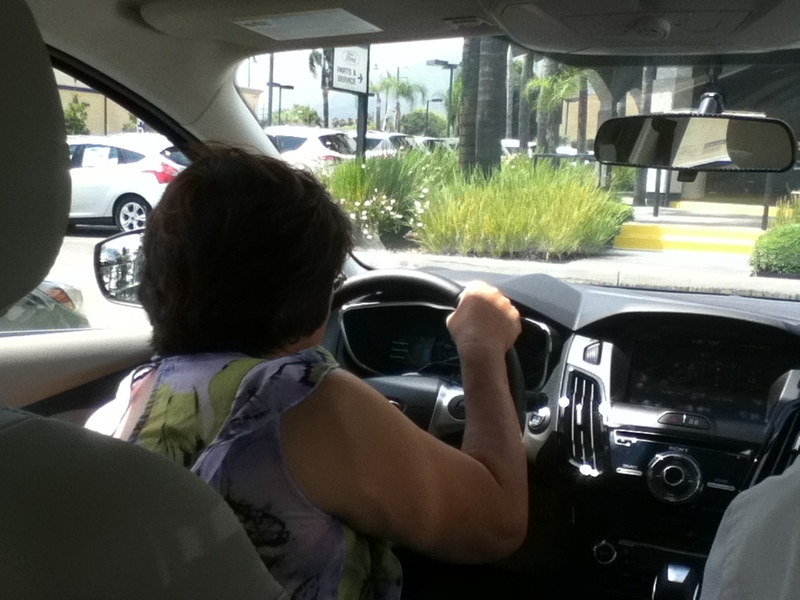 We drove around having her plug into a Chargepoint chargers with her Fob as well as the Clipper Creek and Aerovironment fob-less chargers that are around as well. We visited the nearest Quick Charger to her home (less than six miles away) and showed her the difference in the two ports, as we were close to 90% at the time, we opted not to throw $5 to Blink to get use the CHAdeMO, but intend to have her get a quick charge at some point. 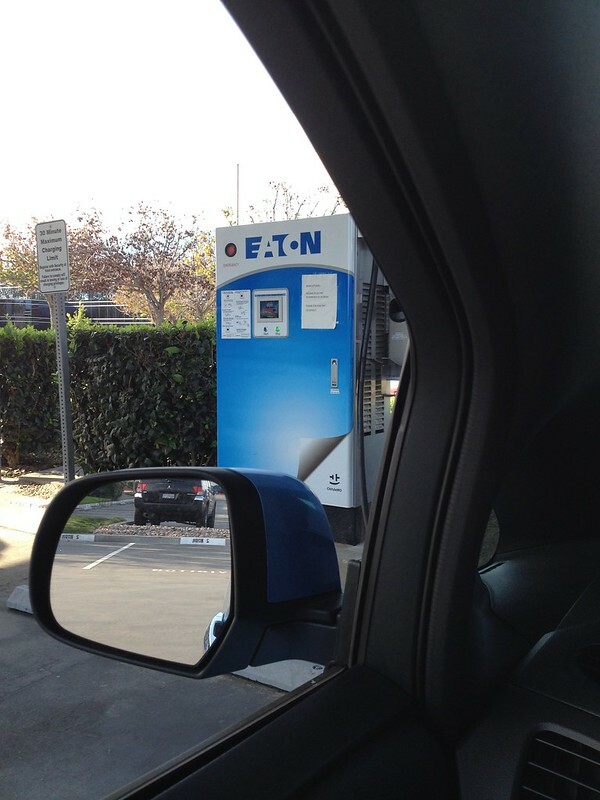 Most importantly, I have also armed her with the requisite EV card from Plug-In America and explained to her the protocol that we all use for that as well as teach her how to check into Plugshare when one is using a public charger. 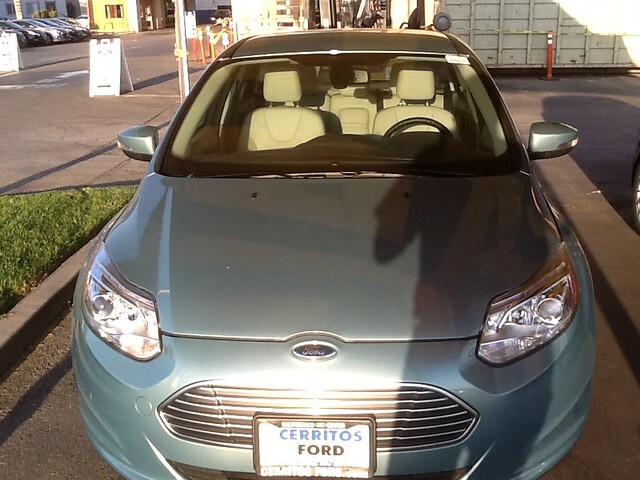 So, hopefully you will give her a friendly welcome as she and OB-8 drive around Southern California with the smooth, silent drive of an EV and to prove that even grandmothers can be rEVolutionary!